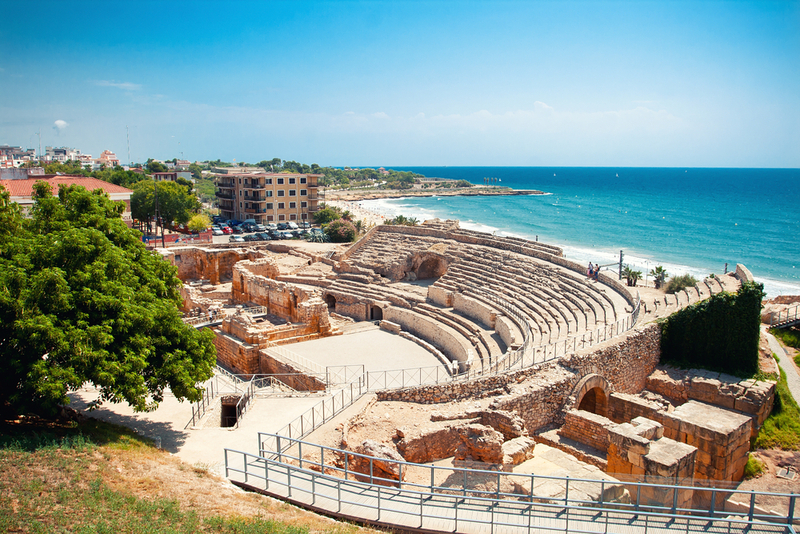 Catalonia is full of rich history and places to explore. 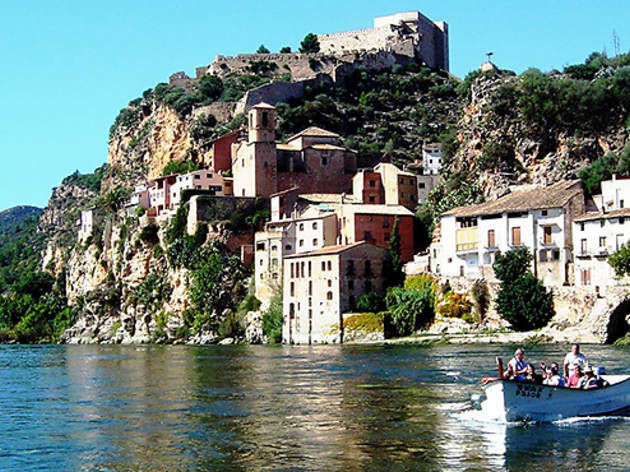 You'll definitely want to visit these 50 places in Catalonia. Sure, there are so many things to do in Barcelona, but don't you ever wonder what's going on outside the big city? 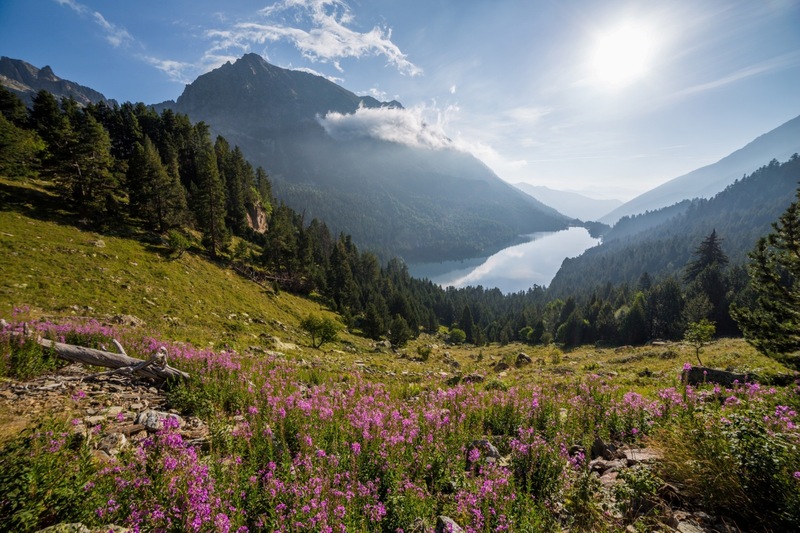 From the Pyrenees mountains, with plenty of quaint villages and miles of coastline with charming coves and white villas to cities that have preserved great monuments, and hidden corners that seem rooted in medieval times just waiting to be explored are all around you. Not to mention natural parks and World Heritage Sites in abundance. 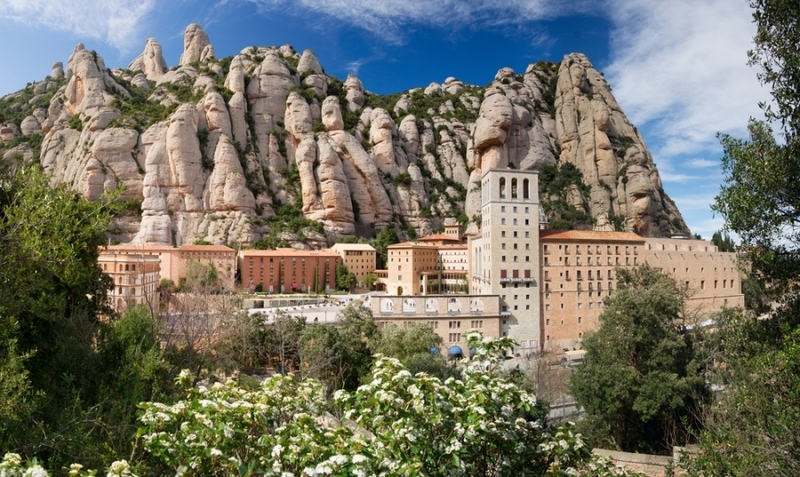 With this wealth all around, it wasn't easy to choose just 50 must-see places in Catalonia (and a few are in Barcelona), but we took the challenge head-on, and this is our selection to help you get out and explore the beauty of Catalonia. 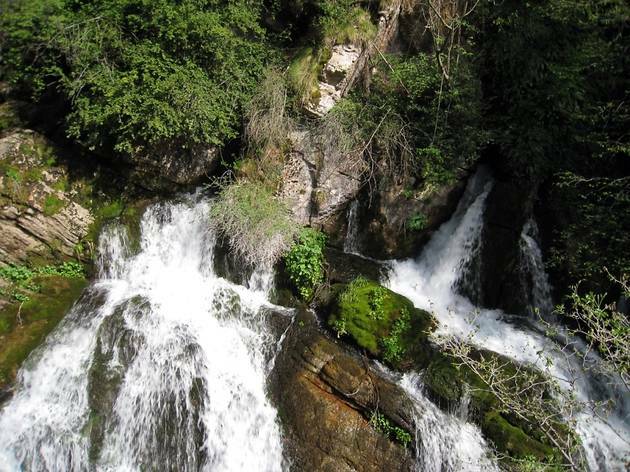 This is the only Spanish national park in Catalonia. 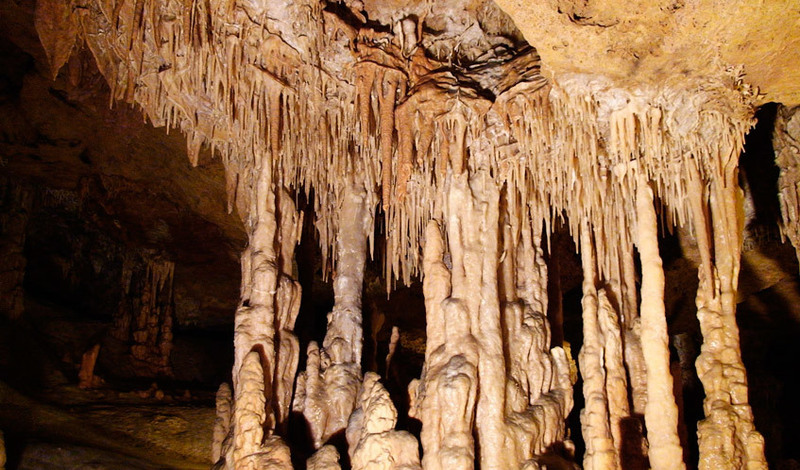 It can be accessed via different places and visited on foot or by four-wheel-drive taxi. 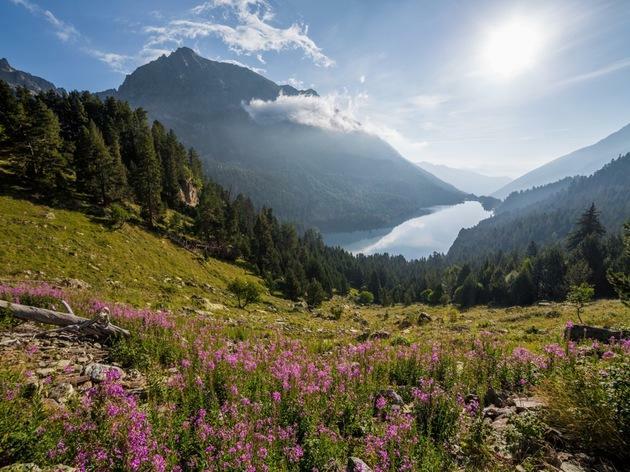 Wherever you go, you’ll find beautiful high mountain scenery with meadows, rivers, and peaks of up to 3,000 metres. 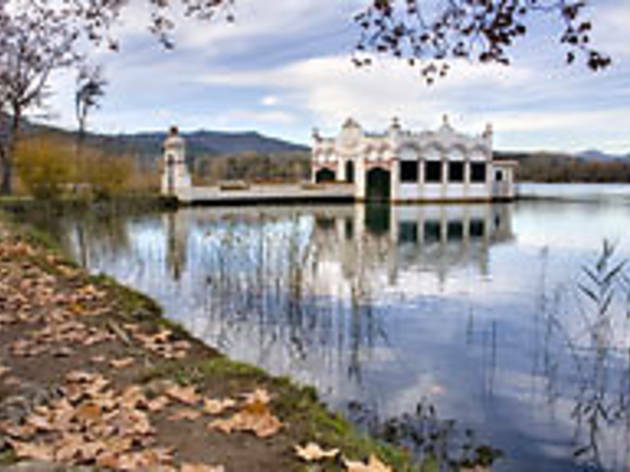 The most photographed place is the Lake of Sant Maurici with the Els Encantats mountains in the background. In this town, heritage is all around you. 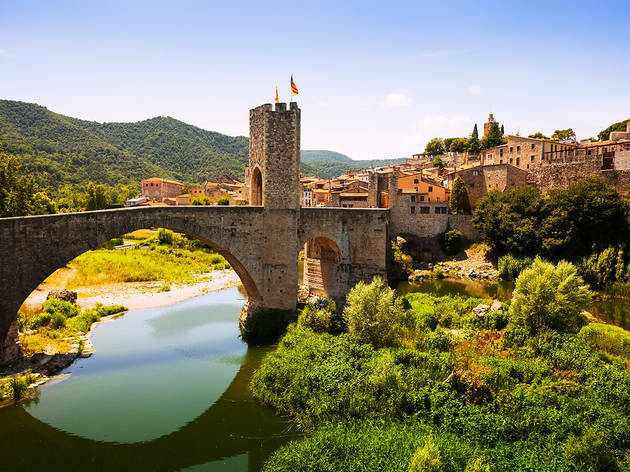 Perhaps the best known example is the magnificent and much-photographed Romanesque bridge, but it’s also worth paying a visit to the synagogue and the church-hospital of Sant Julià, the monastery of Sant Pere, the church of Sant Vicenç and Casa Cornellà. 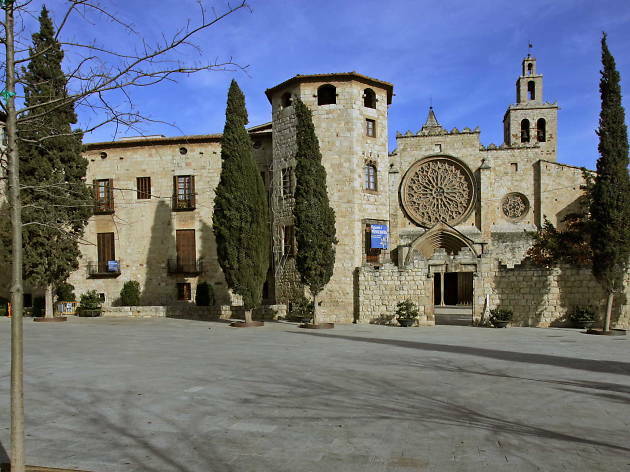 This is undoubtedly one of the best preserved and most interesting medieval ensembles in Catalonia. It's a town that you should spend a full day in to explore. 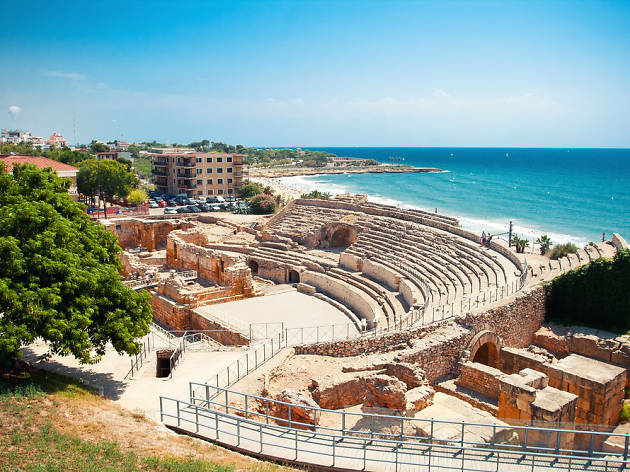 What was then known as Tarraco was one of the most important Roman cities in the Iberian Peninsula and even now, some 2,000 years later, you can still find a large number of remains from that time. Standout sites are the amphitheatre and the Roman circus and, a little farther out from the centre, a section of the ancient aqueduct. Make sure you call in at the city’s museums, which are filled with dozens of exhibits and richly detailed mosaics. 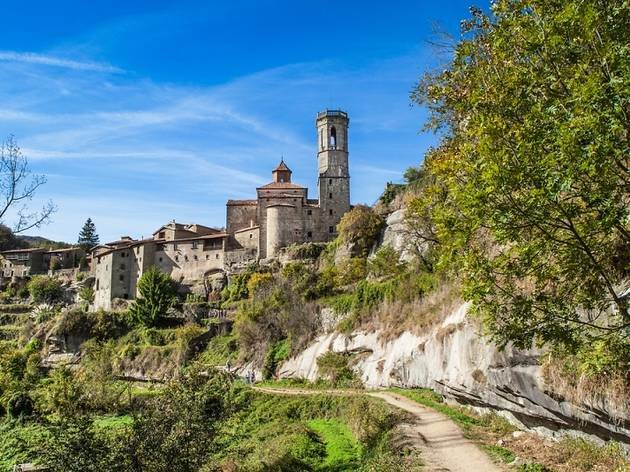 Although it formally falls within the boundaries of the Alta Garrotxa region (since 1969), this picturesque village belongs to the municipal area of Camprodon, in the Ripollès region. To get there you’ll need to drive along a windy road, but it’ll be well worth it. Time seems to have stood still here and its houses and streets are picture perfect. 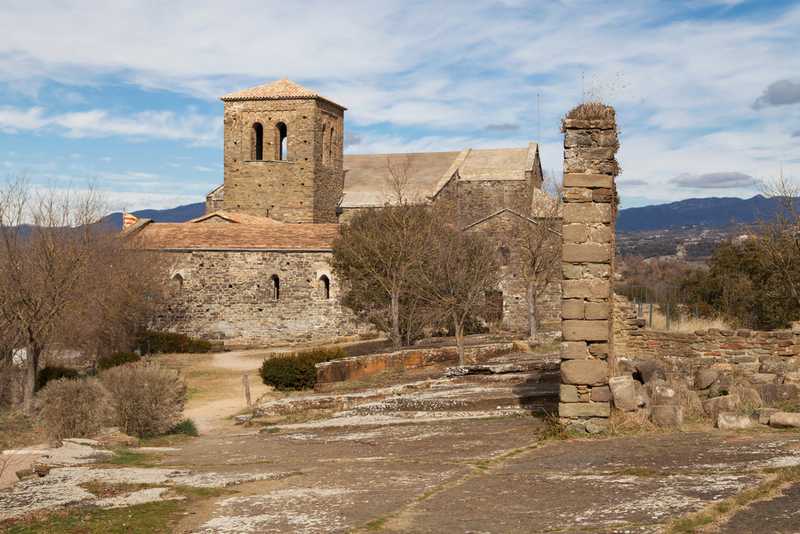 Visit the Romanesque church of Sant Cristòfor with 'La Majestat', a beautiful coloured wooden statue. 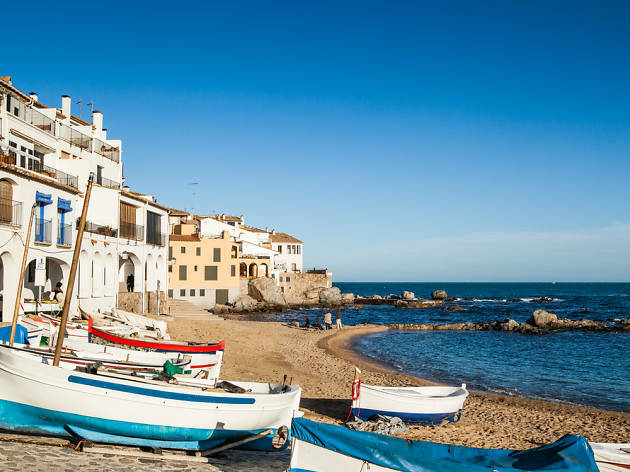 On the streets of Calella de Palafrugell you can still find white houses and traditional fishermen’s cottages and, if you listen carefully, you might just catch the sound of their songs, known as 'habaneras'. Of course, you’ll also find plenty of tourists who come here every summer, attracted by the beautiful beaches. 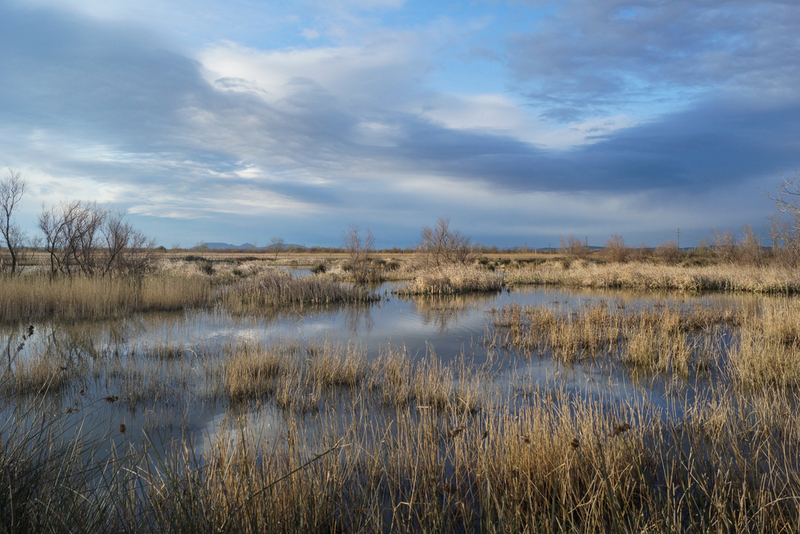 Enjoying protected status as a natural park, these marshes occupy about 5,000 hectares and are home to lots of birds. 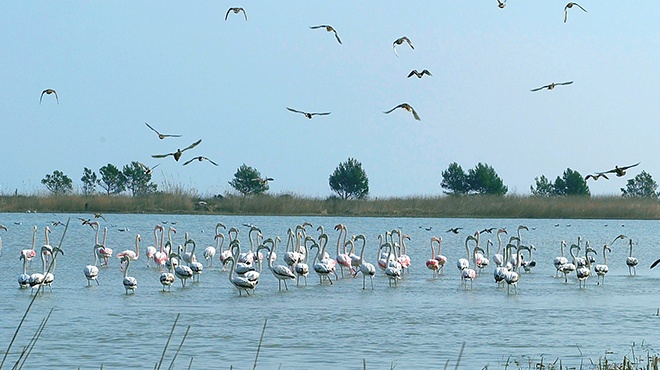 Over 300 species have been seen in these parts, of which 82 live permanently among these lakes and dunes. 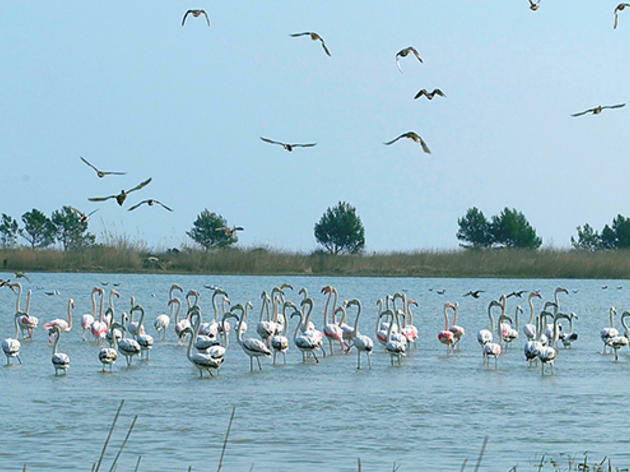 The stork is the most emblematic inhabitant, but there are many more equally beautiful species that can’t be found anywhere else in Catalonia. As long as you respect the surroundings, you can walk around and admire the fauna. 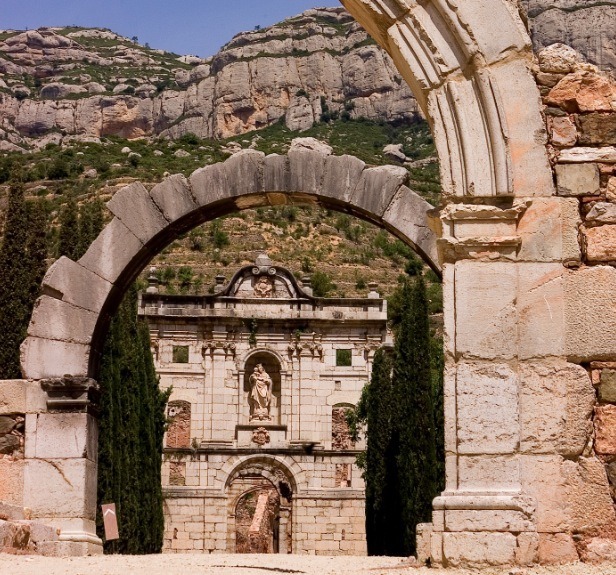 The first Carthusian monastery on the Iberian Peninsula, dating from the 12th century, is a must-see if you’re in the Priorat region. 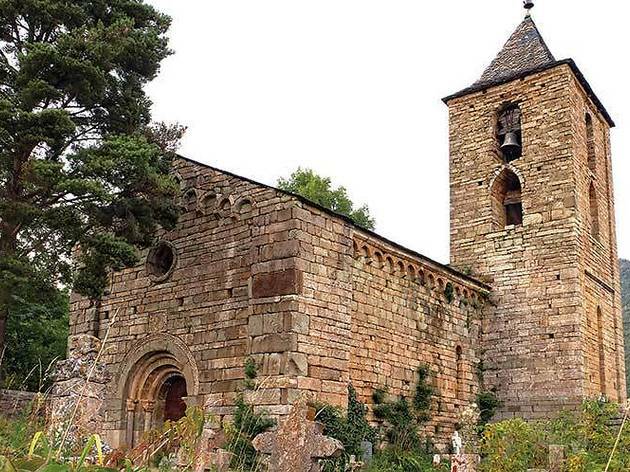 Most of the building is now in ruins, but you can still appreciate the size of the project through the remains of its three cloisters, one of which has been completely restored; its church; its refractory; and a completely restored monk’s cell. This town gives its name to a beautiful mountain valley, for which it’s a commercial centre, with streets filled with shops. 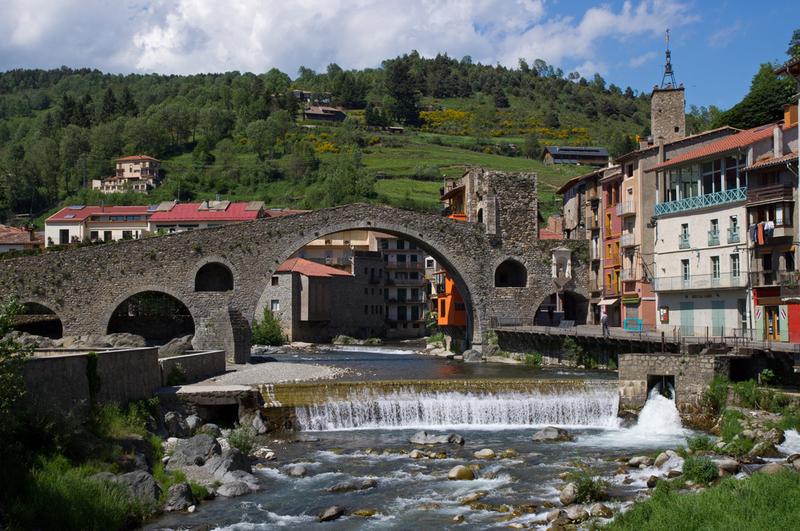 The new bridge over the River Ter is one of the most photographed sights in the western Catalan Pyrenees, and the Sant Pere Monastery was built in Romanesque style in the 10th century. The composer Isaac Albéniz was born here, and there's a museum dedicated to him that is open to the public. 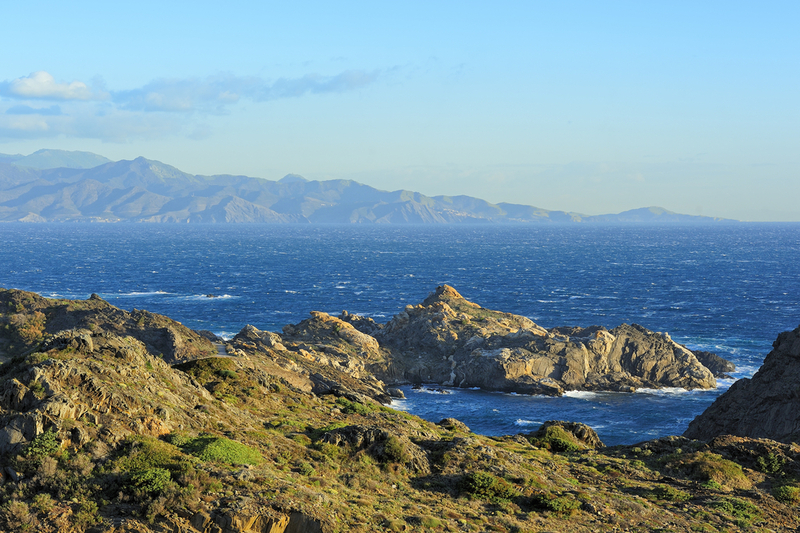 This landscape is almost lunar, its rocks sculpted by the Tramontana winds and the wild sea. It’s a unique place, the highest point in the east of Catalonia, a peninsula within the peninsula and a source of inspiration for Dalí, who built a house for himself in Portlligat that allowed him to be the first Catalan to see the sun rise. 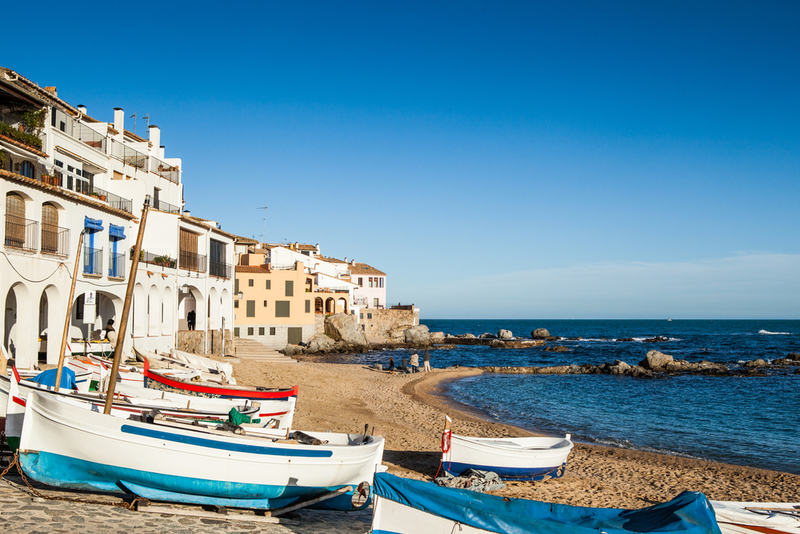 Just next door, you’ll find the beautiful village of Cadaqués, with its white houses and aromas of the Mediterranean. 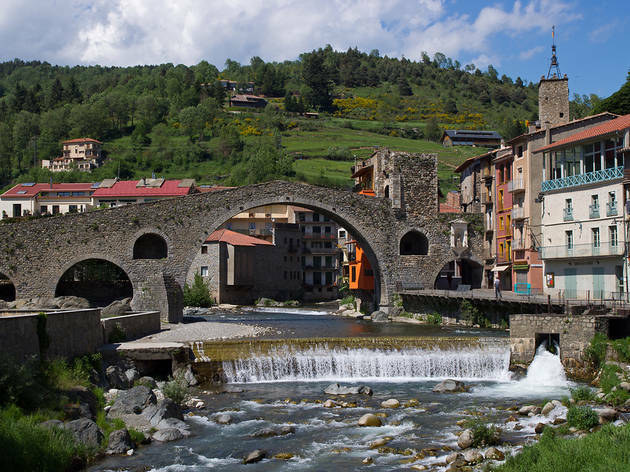 While there are plenty of nice villages in the Catalan Pyrenees, Castellar de n'Hug stands out for its location near the source of the River Llobregat. 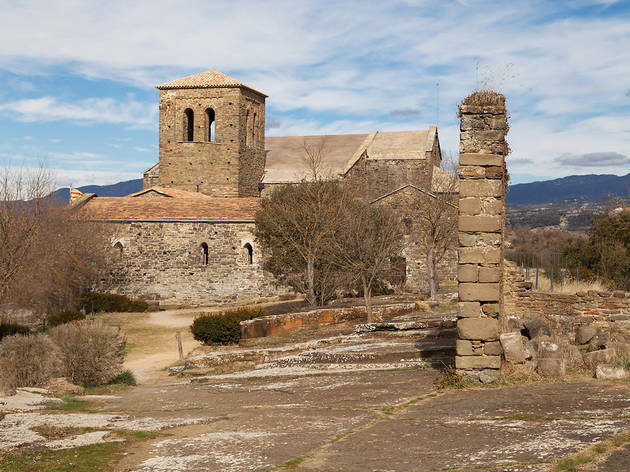 It’s also the site of two Romanesque churches, dedicated to Santa Maria and Sant Vicenç. 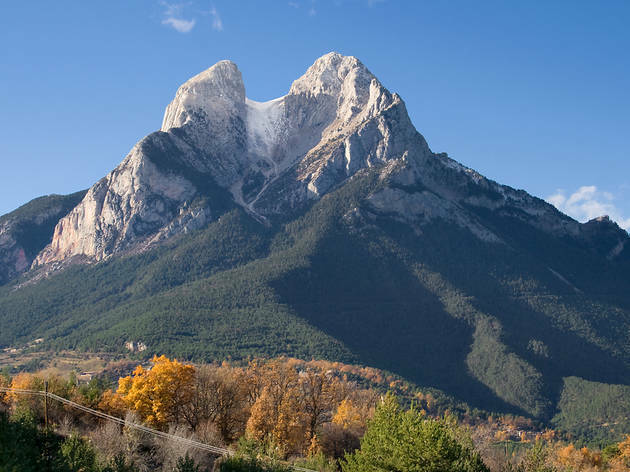 This is one of the most emblematic mountains in Catalonia, not so much for its height (2,506 metres) but for its solitary location and its shape, crowned by a fork made up of two peaks separated by a large pass. It’s worth seeing in person and, providing you’re in reasonable shape, climbing up to the top is not a particularly daunting feat. Its unique profile has given rise to a wealth of legends. 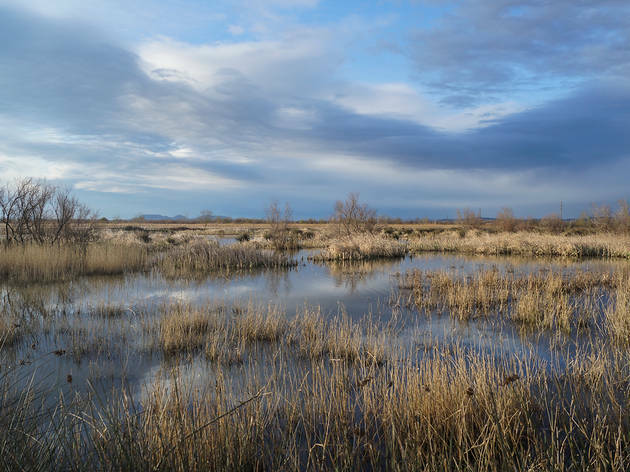 When it reaches the sea, the mighty Ebre River dumps all the sediments it has carried to create one of the most important wetland areas in Western Europe and a paradise for both birds and rice farmers. This is a unique natural site and offers myriad routes to explore on foot or by bicycle, as well as plenty of places to go bird watching. 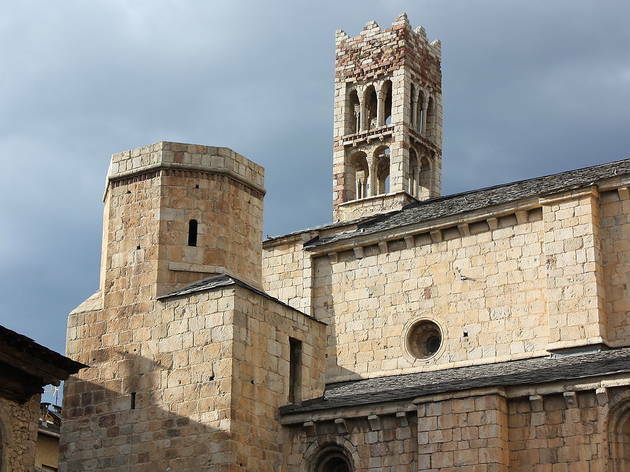 This is the only Romanesque cathedral in Catalonia and, despite its majestic appearance, it didn’t influence the construction of other buildings of its time, making it a unique site. 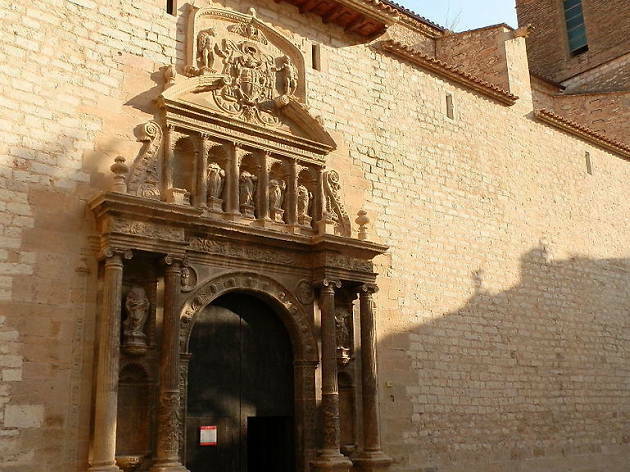 Its cloister and capitals, the Sant Ermengol altarpiece and the painted murals are some of the features to look out for inside. Cutting an imposing figure at the top of a long stairway, and presiding over the beautiful city of Girona, the Cathedral is bright outside, while the inside will leave you gasping, since it has the widest Gothic nave in the world, measuring nearly 23 metres (and the second in the world irrespective of style after that of St Peter's Basilica in the Vatican). The cloister, the windows, the chapels, the altarpiece and Charlemagne Tower are all worthy of mention. This lovely inland village located on a hill offers outstanding views. But what's more beautiful is within, in its streets and stone houses, which are well preserved and have a medieval air about them. 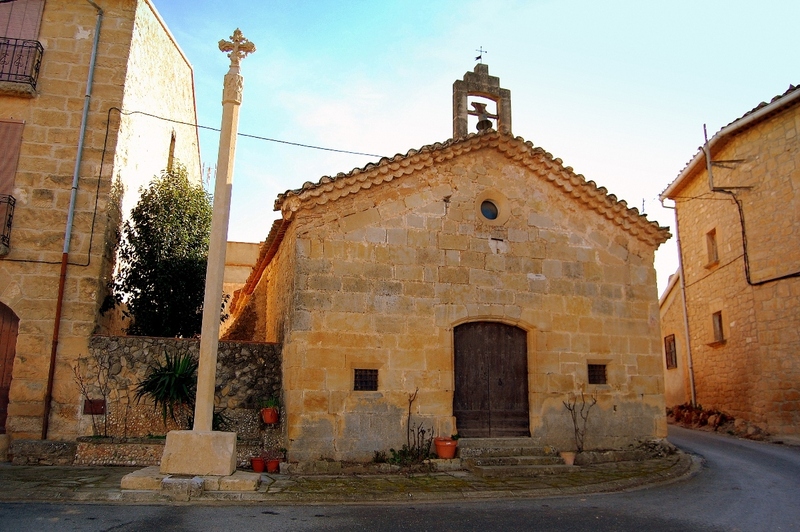 Among the most prominent buildings in the village is the church of Santa Maria and the hermitage of San Sebastián. The best way to visit is to make your way to the entrance gate of the old city and walk up along the streets. 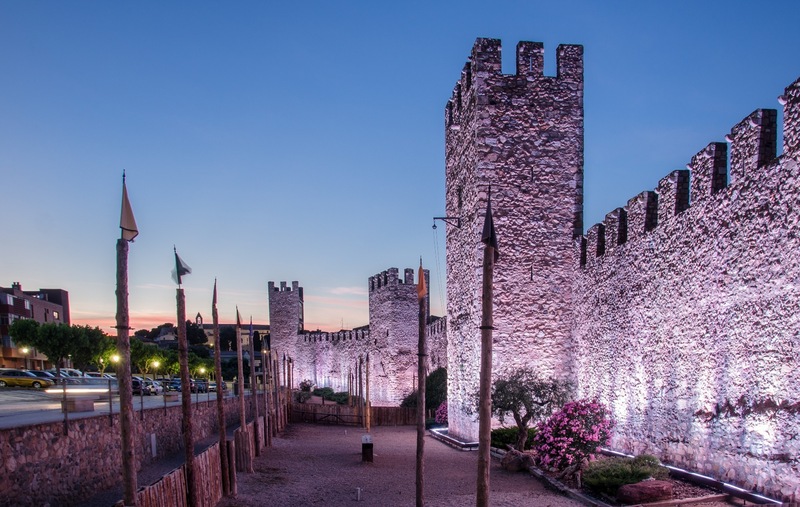 Built in Romanesque and Gothic styles, this large and imposing medieval castle occupies a privileged location and has seen plenty of major historical events. 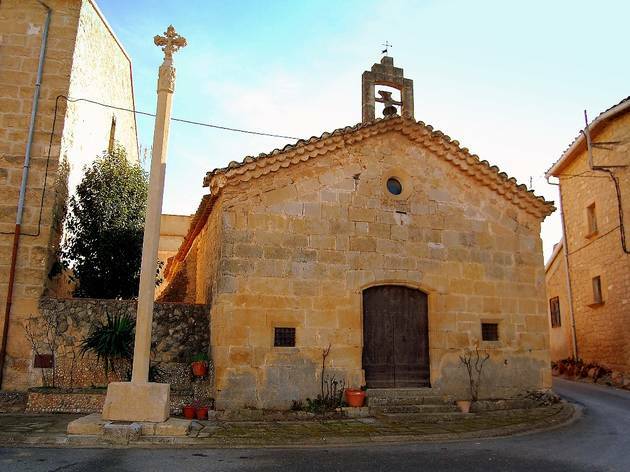 You'll be especially impressed by the Minyona tower which dates from the 11th century, as well as the church of Sant Vicenç which is still well preserved despite its almost thousand years of history. If you'd like you can stay here in the Parador Nacional that occupies part of the castle. 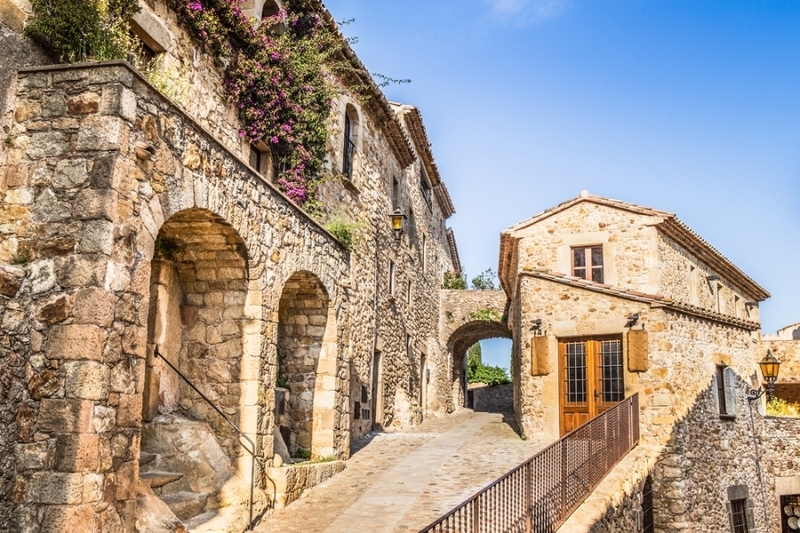 Pals is another village with a big architectural draw in the Empordà region, with buildings dating from the Middle Ages, stone streets and houses, semi-circular arches, Gothic churches and walls. 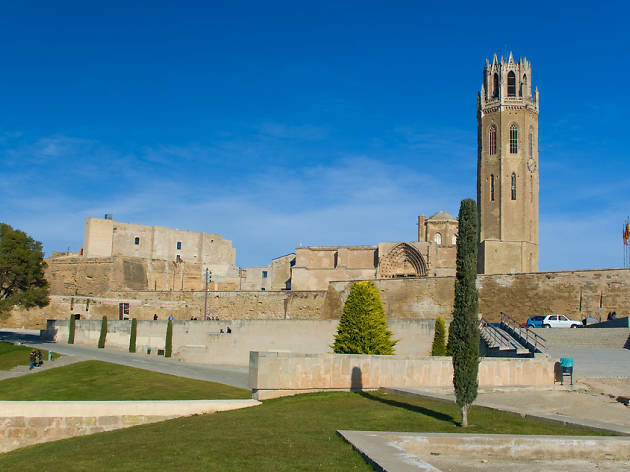 One of the most iconic constructions here is the Torre de les Hores, the main tower of the old castle, and if you make your way to the top of it, you’ll find fantastic views of Empordà, Montgrí and Illes Medes. 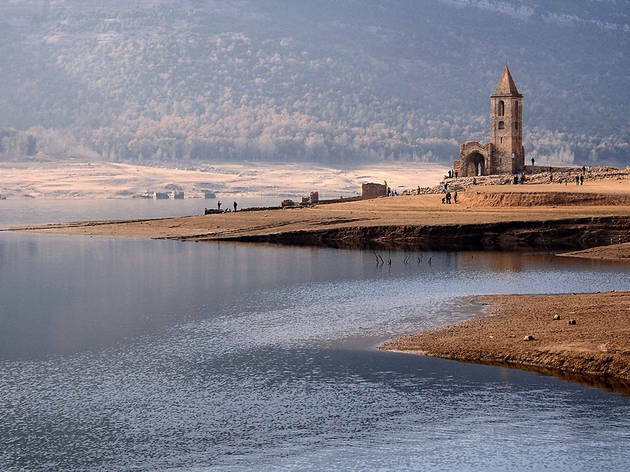 One of the ways to find out whether Catalonia has sufficient water reserves is to check out the water level at this reservoir and see whether or not you can spot the spire of the church of Sant Román de Sau, which was covered by water when the reservoir was created. The reservoir is surrounded by the Guilleries range of hills and in times of drought it’s sometimes possible to see the whole of the sunken village of Sant Roman. The Roman inhabitants of ancient Barcino occupied this part of town, lying on and around the summit of Mount Taber. 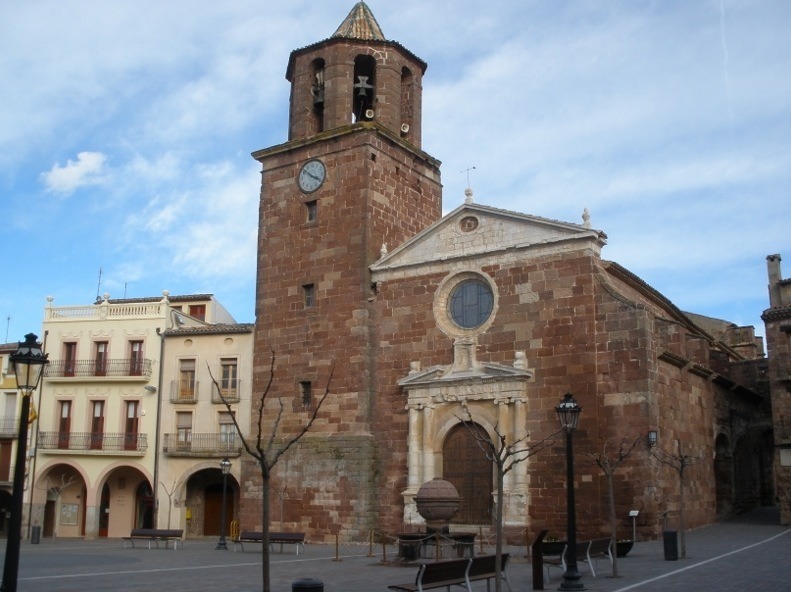 Over the centuries, the city’s main religious and civil buildings were erected here, and many of them still stand today, from the Cathedral and the Church of Santa María del Pi, to the Palau de la Generalitat and the Mayoral Palace. 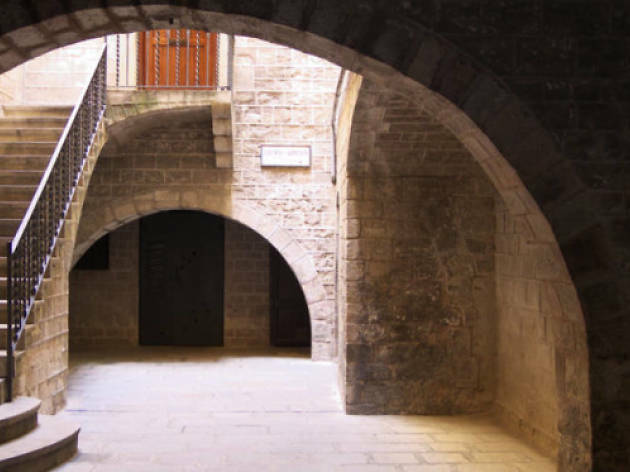 Plaça del Rei is one of the most beautiful spots in this must-visit area. 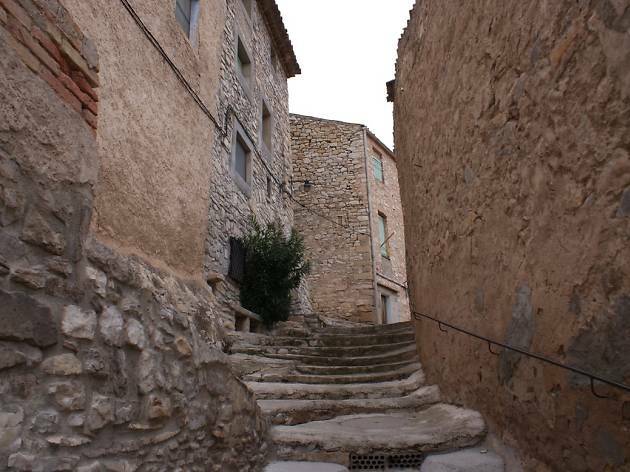 Considered to be the best conserved Jewish quarter in Europe, the 'Call' in Girona can trace its beginnings to the 12th century and was home to a substantial Jewish community. Walking the narrow streets is like taking a trip back in time, and the quarter’s museum is also worth visiting in order to explore further the history of the town’s Jewish population. The ancient Greeks made their first incursion into the Iberian Peninsula here and they liked the place so much that they decided to stay. After them came the Romans, who also settled here. 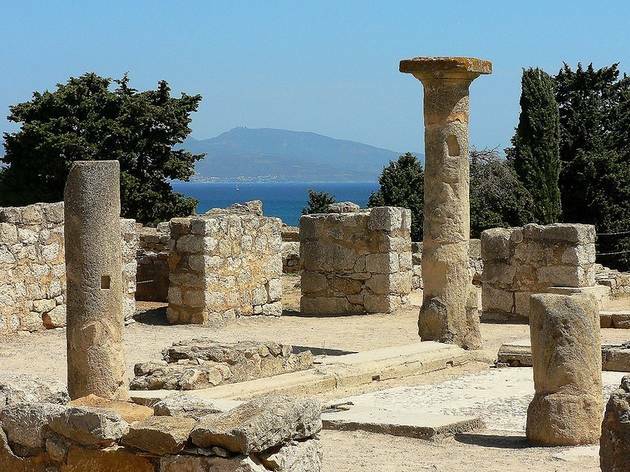 Their legacy can be explored at this archaeological site in the Bay of Roses, and you also might want to visit the museum to see exhibits like the statue of Asclepius. It’s also a great idea to walk along the coast from L'Escala to Sant Martí d'Empúries. 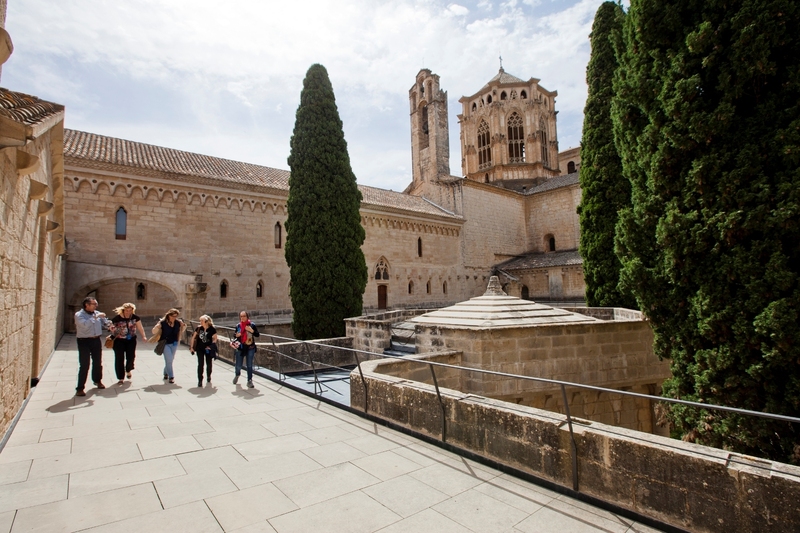 Poblet, Santes Creus and Vallbona de les Monges make up a unique triangle full of history and cultural heritage. 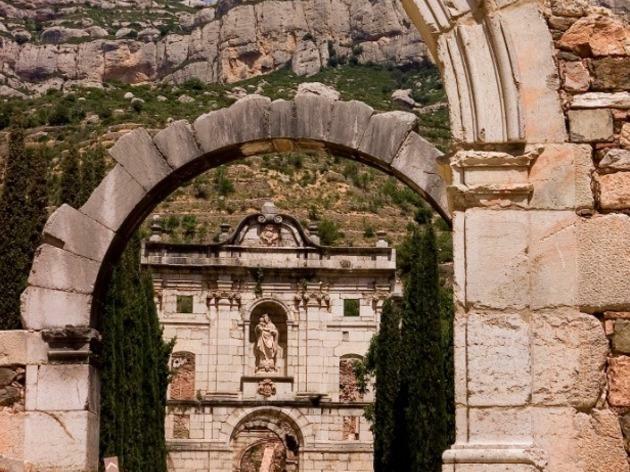 We recommend that you spend at least a couple of days visiting the three monasteries, two of which are still functioning religious centres, as well as exploring other interesting sites in the area. 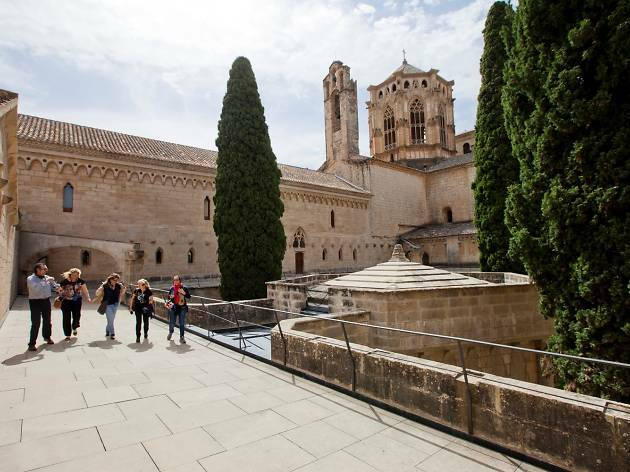 Construction of the monasteries began in the 12th century, and they have plenty of details, including the tombs of the most important monarchs of the Crown of Aragon. This is a small inland village with lots of charm has plenty to offer visitors interested in history and culture. It retains its original medieval street plan, running up to the church of Santa Maria and the remains of the castle, from where you can join in various tours. There’s also a medieval market in August. If witches and gnomes were able to choose where to live, this dense, leafy, magical forest of beech trees would be among their top options. It grew thanks to the fertile lava flowing from the Croscat volcano and is located in a region with its own special beauty, populated by volcanoes. 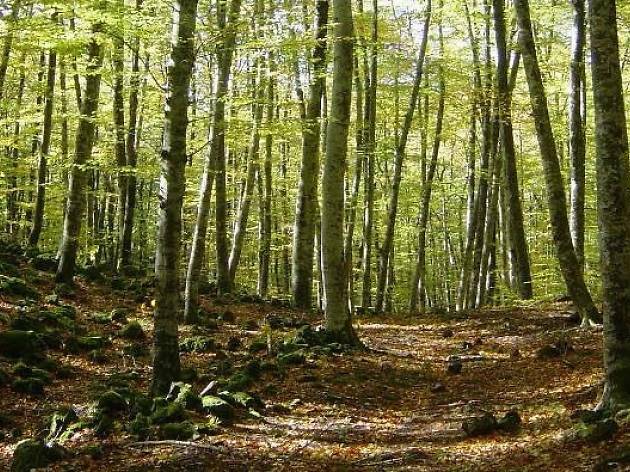 Fageda d'en Jordà is a mystical, quiet place, immortalized by poets and ideal for exploring leisurely on foot, bike or horseback. This town is the capital of the region and its historical centre has been declared a site of special cultural interest. 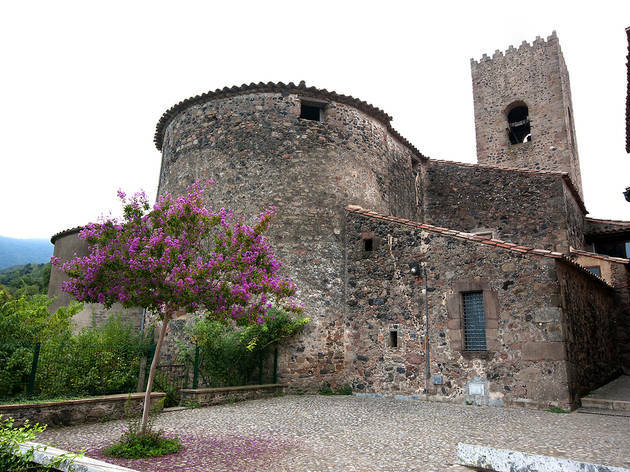 Bearing the title of the Ducal Town since the Middle Ages, it holds many delights including Casal dels Josa (today a museum), the Gothic church of Santa Maria la Major and the old bridge, which dates from the Roman era. 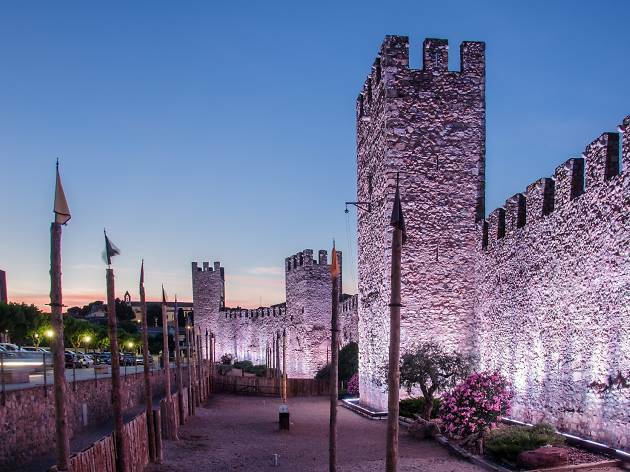 The town’s walls deserve a special mention and still stand to protect the centre with their gates and towers. 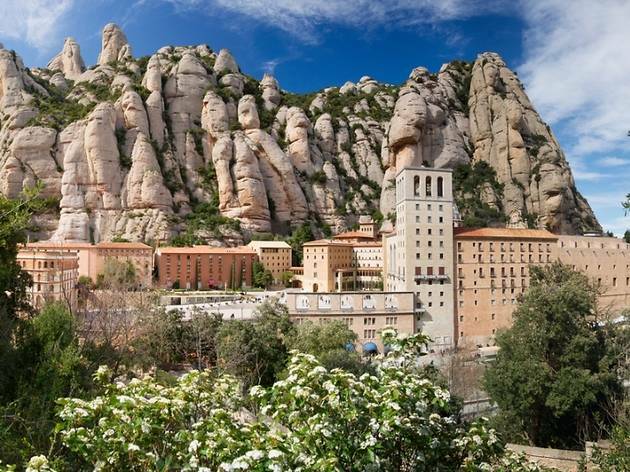 One of the best-known places in Catalonia and a must for visitors, not only because of its monastery, museum full of intesting paintings and a statue of a black Virgin Mary, but also for the amazing shapes of the rocks and its attractive walking trails. 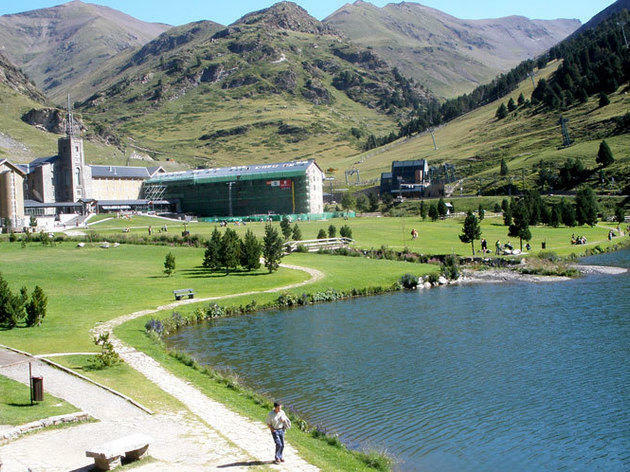 You can get here by rack railway, funicular or cable car. 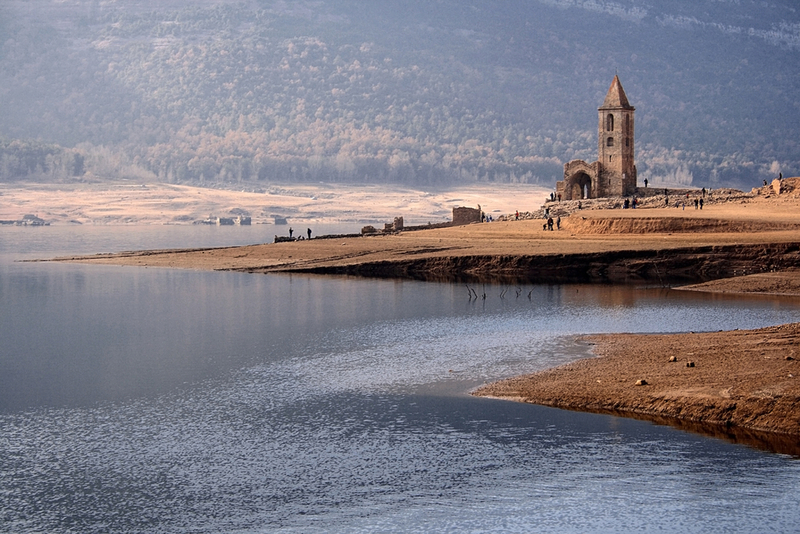 This is the largest lake in Catalonia and gives its name to the region. Strolling or cycling around the lakeshore is a great way to disconnect and find some peace and quiet. But be careful with the monster that is said to live beneath the waters. 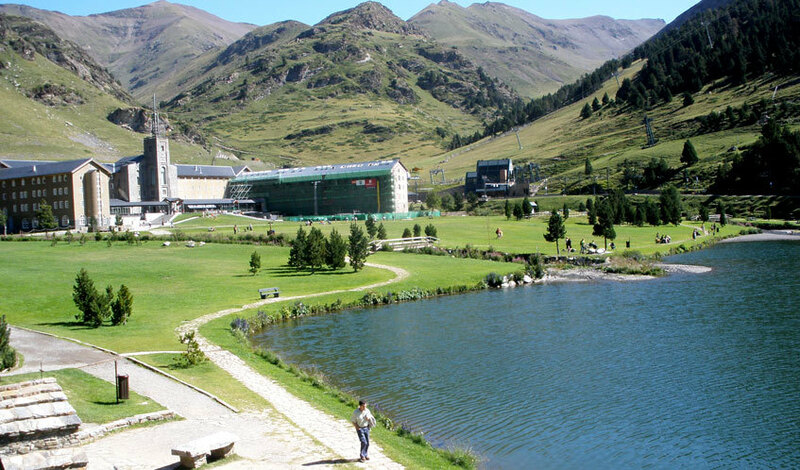 Sports fans may be interested to know that the lake was one of the venues for the 1992 Barcelona Olympic Games. 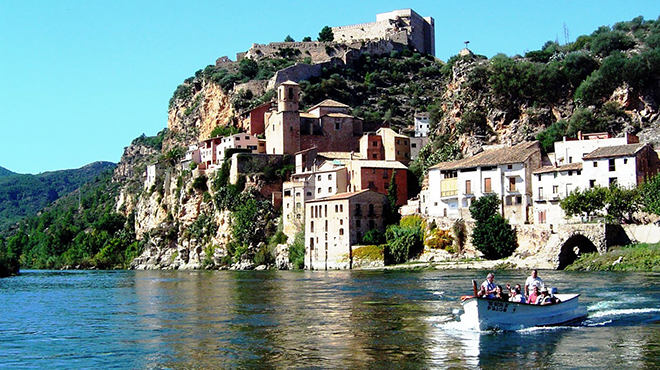 This town is, almost literally, bathed by the waters of the River Ebro, and on more than one occasion has been seriously threatened when the mighty river has overflowed its banks. But it makes for a picture-postcard scene, complete with streets winding their way up to a Moorish castle. 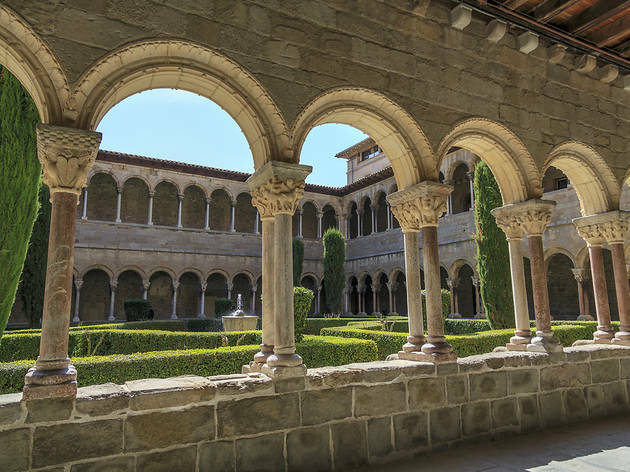 Once the most important monastery in the county of Barcelona, work began before the year 1000 and the building still conserves its original splendour, especially the cloister, one of the most beautiful in Catalonia and an example of pure Catalan Romanesque style. 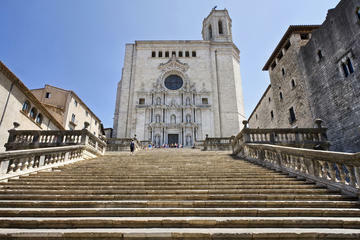 It boasts 144 capitals sculpted from Montjuïc stone. 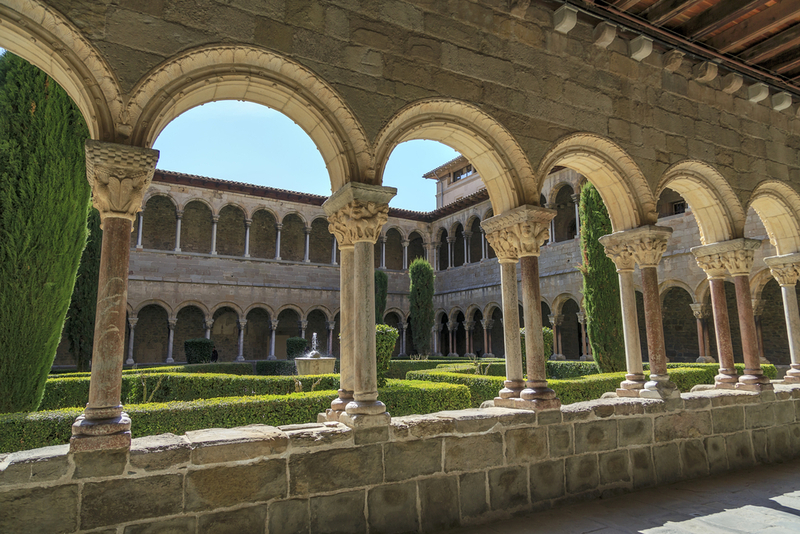 In the centre of the cloister you’ll find the remains of the site’s original basilica, dating from the fifth century, which is where Saint Cugacuphas is said to be buried. 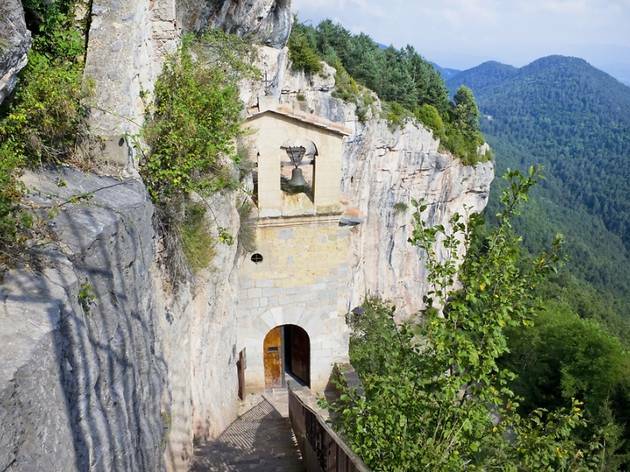 This is another picturesque spot nestled among the mountains where you can see an image of the Virgin that dates from the ninth century. 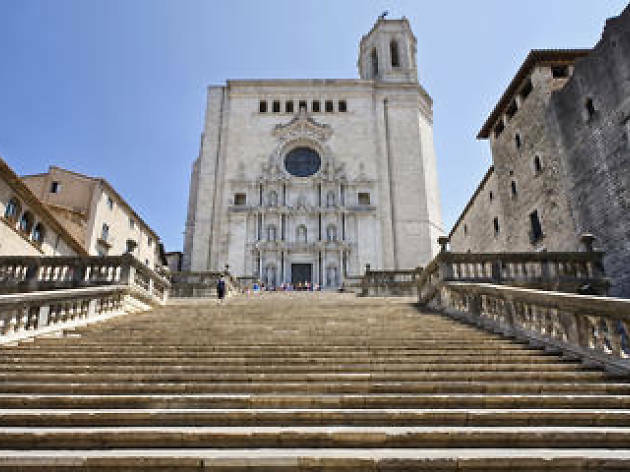 The first thing you'll see here when you visit is an inn with a staircase, said to have been built by the iconic Count Arnau, that leads to the Romanesque church of Sant Pere. 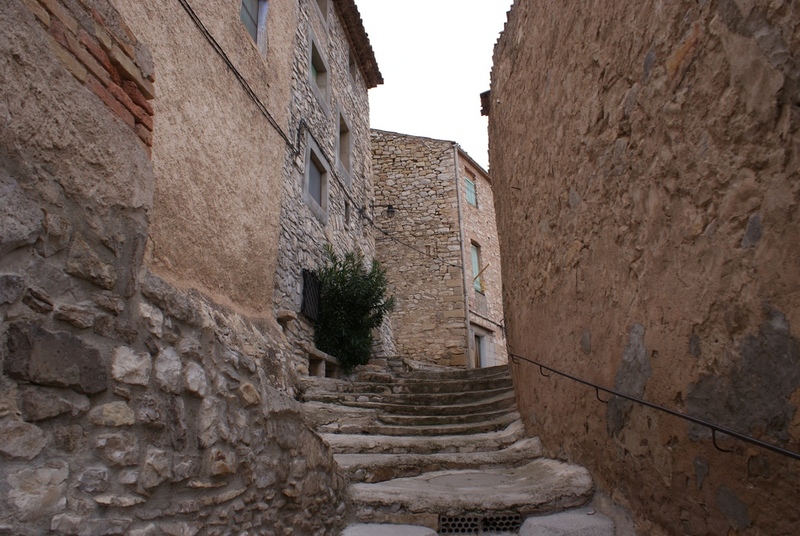 You can get there by a pleasant walk from Castellar de n'Hug or from Gombrèn. An exquisite Romanesque portal and the weight of a long history. 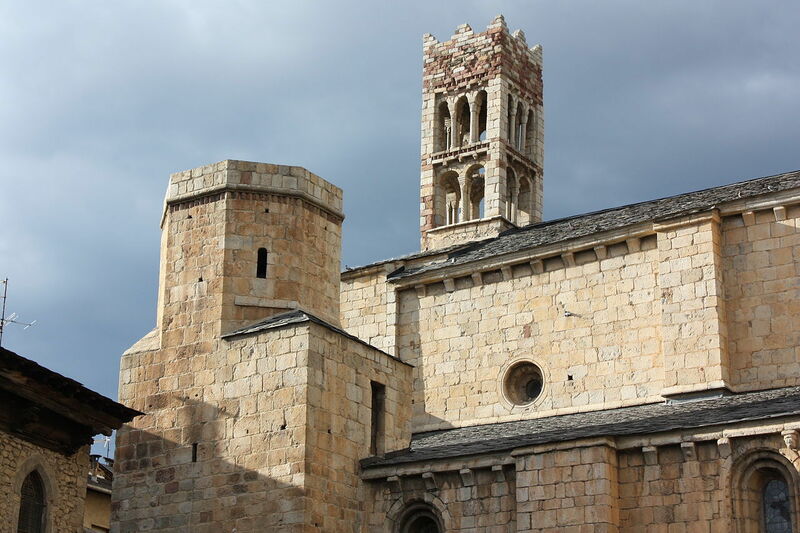 These two elements would in themselves be sufficient to warrant a visit to Ripoll, one of the largest towns in the Catalan Pyrenees and home to the monastery of Santa Maria. 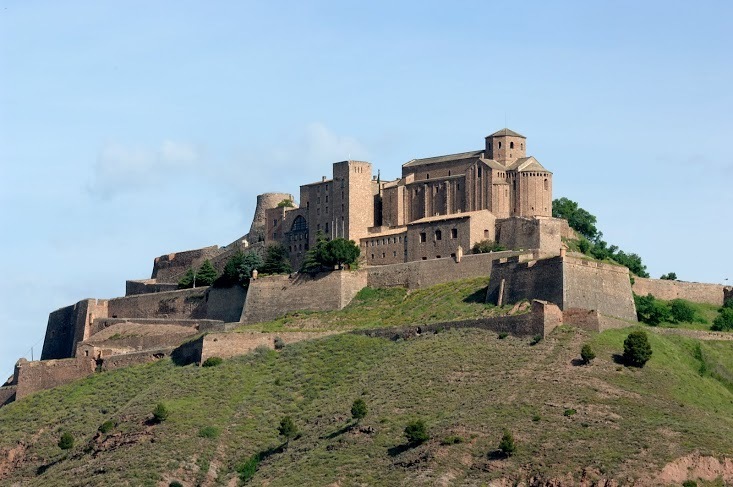 Although much of it was rebuilt fairly recently, it was done tastefully and enhances the majesty of a key place in the birth of what is now known as Catalonia. It would be difficult to find in the whole world a street that combines a similar architectural heritage and top-brand boutiques. 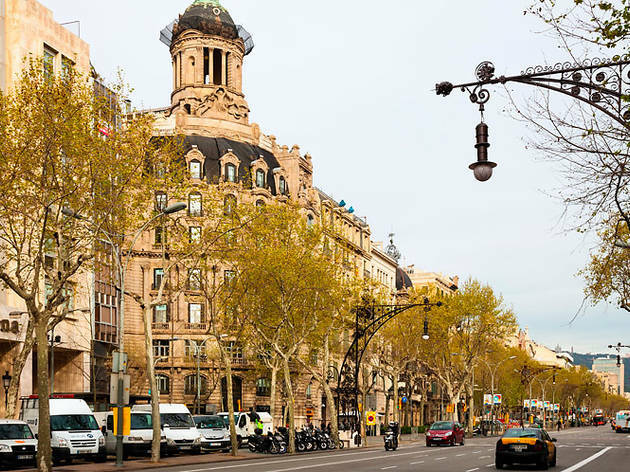 That’s why Passeig de Gràcia, with its modernista-style lampposts and benches and buildings from a variety of periods, is always full of visitors admiring the sights and shopping. 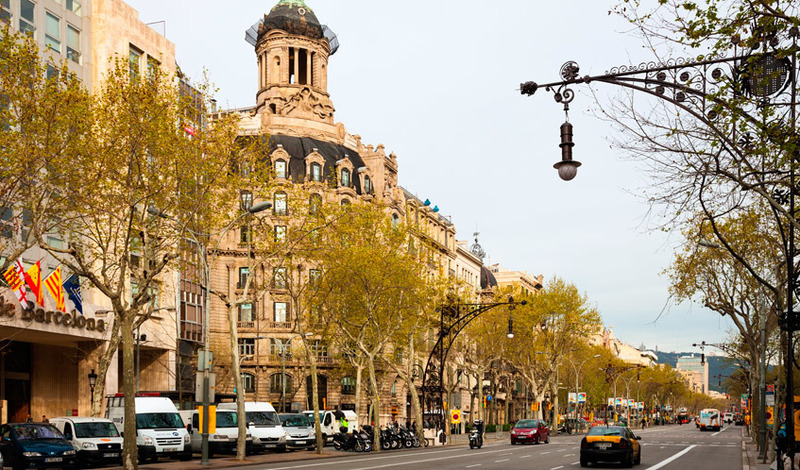 Without a doubt, it's one of the most iconic and best-known streets in Barcelona. 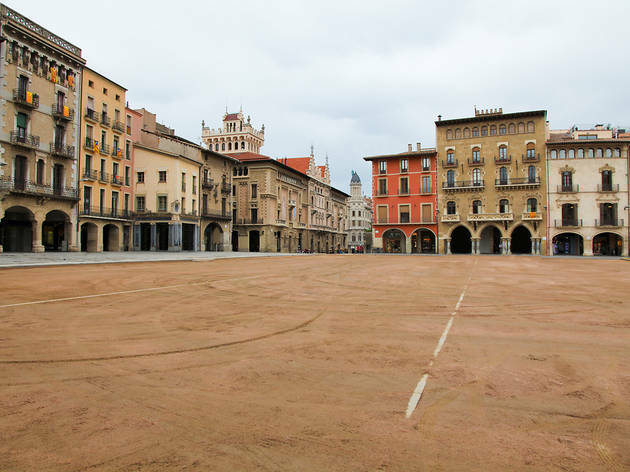 The more modern squares, streets and buildings here are worthy of admiration, including the Rambla Nova, an avenue measuring 45 metres in width and 700 metres in length that’s full of buildings to 'ooh' and 'ahh' over, as well as sculptural works like the statue dedicated to Roger de Llúria. 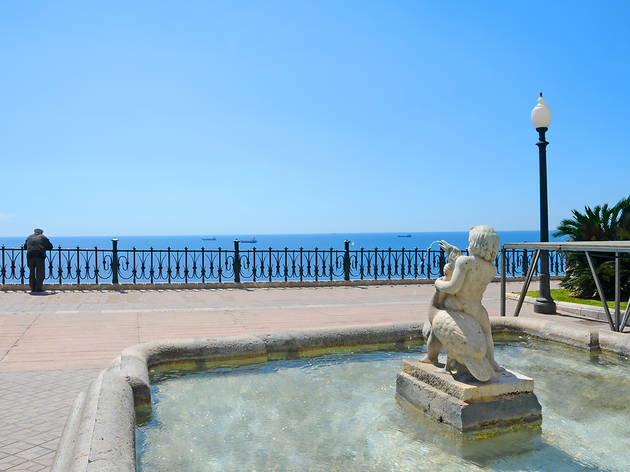 Just behind the statue, you’ll find the Balcó del Mediterrani, a fantastic viewpoint over the sea that people visit to 'tocar ferro', meaning to touch the iron railing. 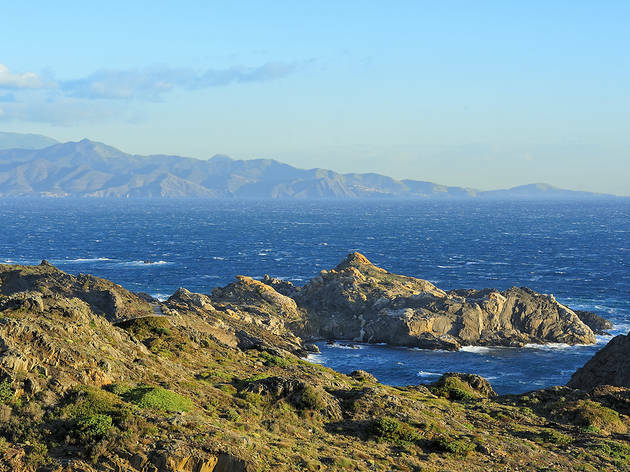 Many consider Empordà to be one of the most beautiful regions in Catalonia, and not only for its beaches, coves and seaside villages with their white houses. If you venture a few kilometres inland you can find gorgeous villages like this that have conserved their medieval charm. 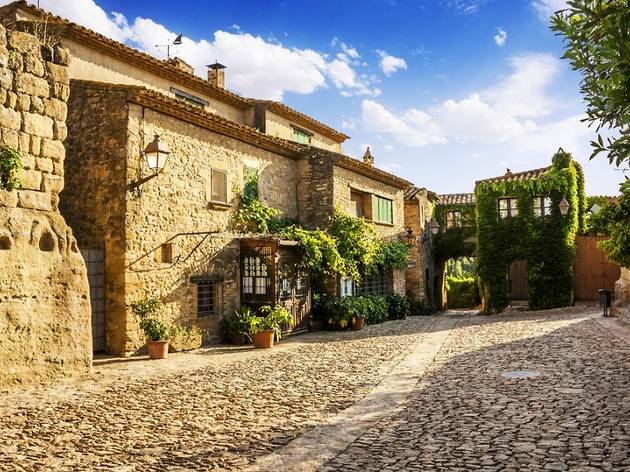 Peratallada has been declared a site of historical and cultural interest, and it’s well worth exploring its winding streets. This is a main square par excellence. It’s spacious and full of eye-catching buildings, and its arcades are among its principal jewels. 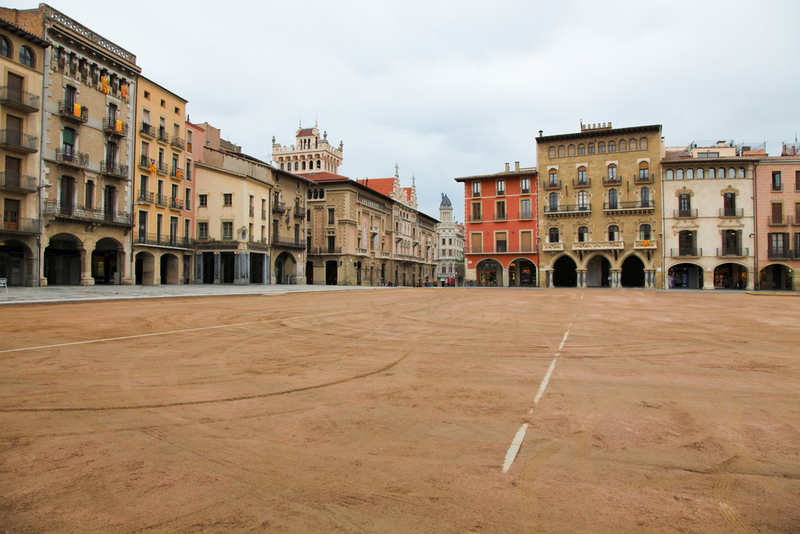 You may find the centre of the square to be rather bare, without shade or places for kids to play, but come Saturday it fills up with stalls for the extremely popular weekly market as well as fairs and other events throughout the year. 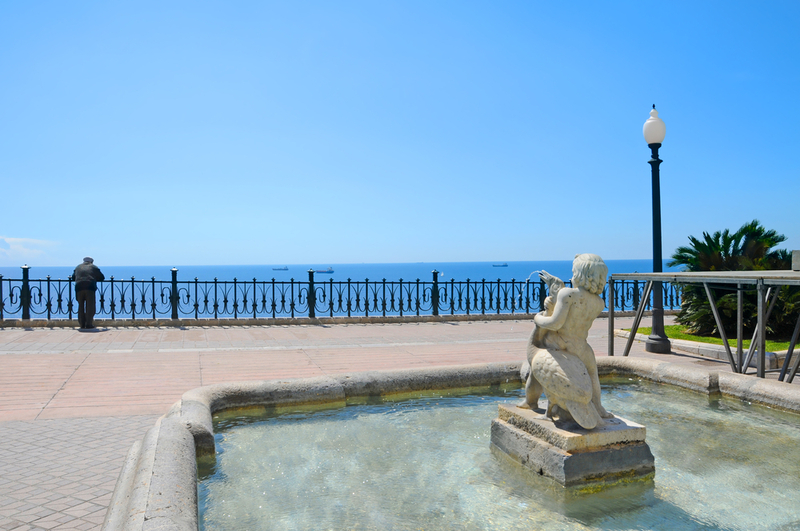 Check out the town’s agenda to find out the best time to visit. Red is the dominant colour in the buildings of this town lying at high elevation among the mountains. 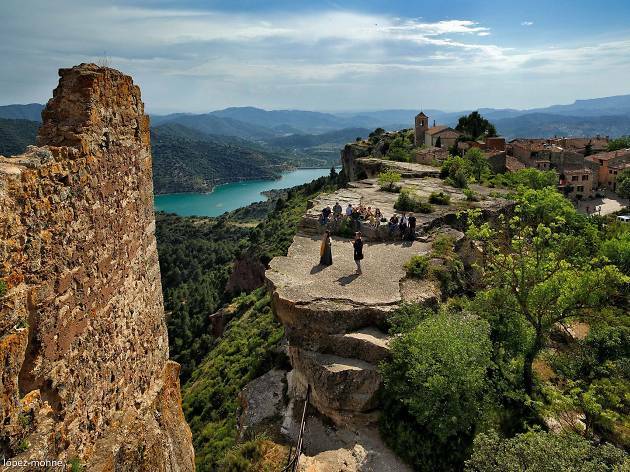 It’s a special place due to the remains of the walls and the castle of the Counts of Prades and the church of Santa Maria la Major. 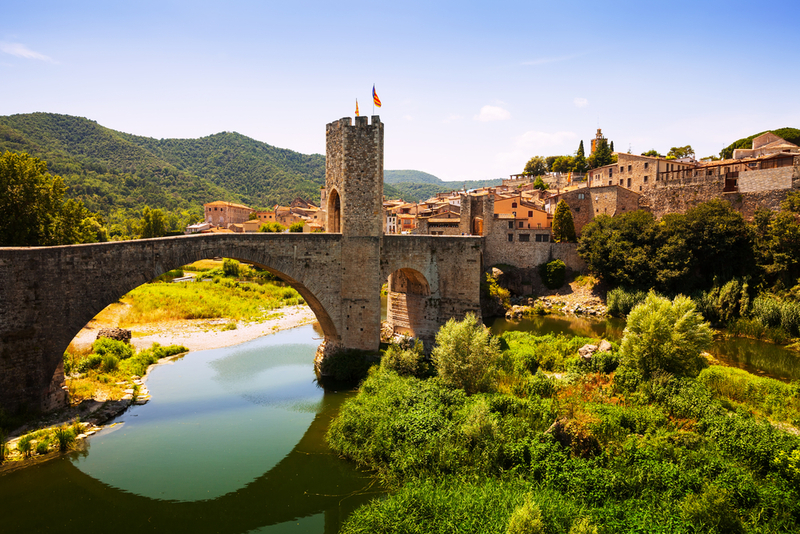 Take a relaxed stroll around Prades, crossing its gateways and lingering in the main square, where you’ll find a Renaissance-era fountain in the shape of a globe that's a symbol of the town. 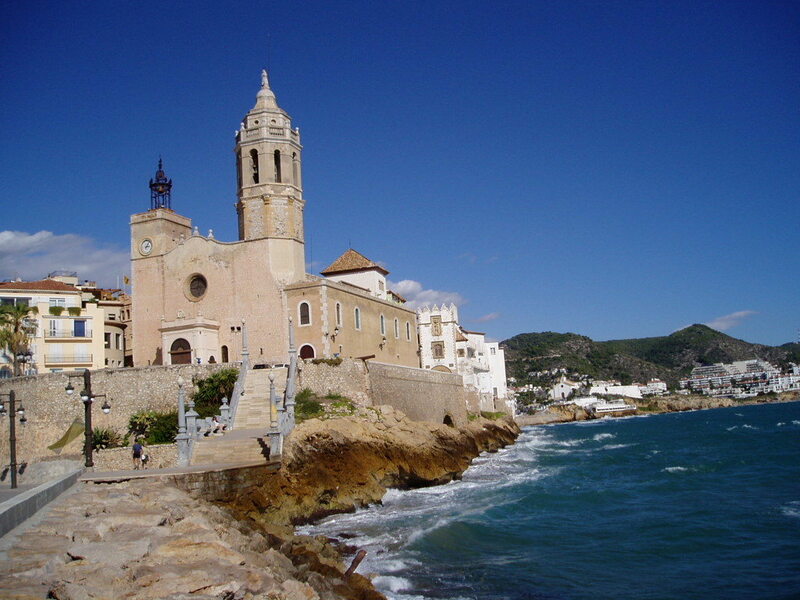 What is it about Sitges that makes you fall in love with the place? Its white houses? Its sea and its 26 beaches? The art you find all around and its variety of museums? The oft-photographed profile of its church? Perhaps its special light? 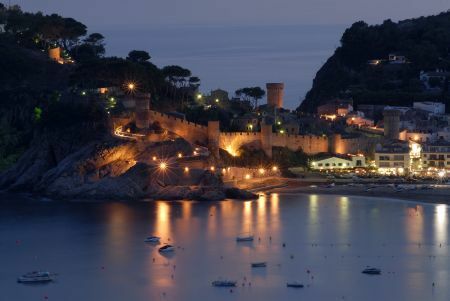 What’s clear is that this seaside town lying to the south of Barcelona has inspired a multitude of artists since the end of the 19th century and is visited by thousands of tourists every year. 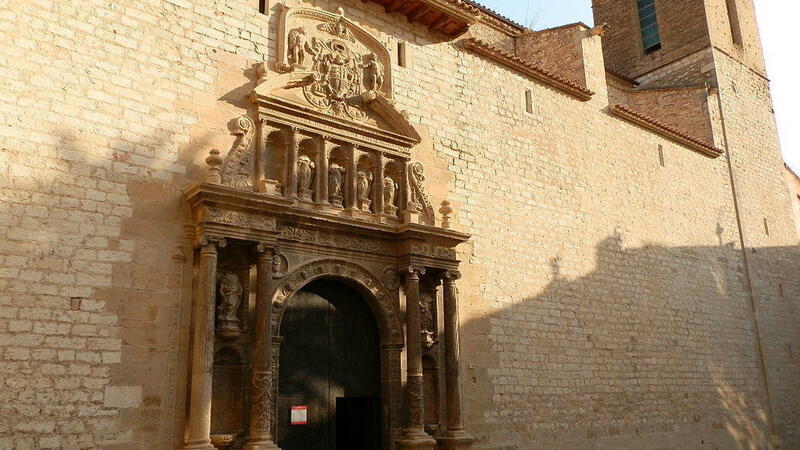 The Renaissance left little heritage behind in Catalonia. 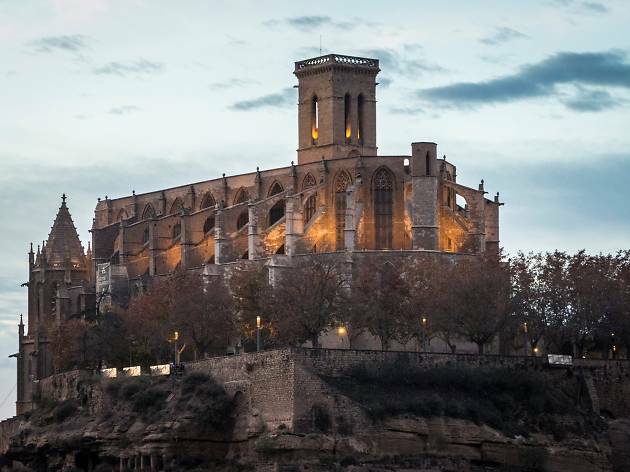 Perhaps the most impressive legacy is in Tortosa, the capital of the Baix Ebre region. The three buildings that make up the Royal Colleges date from the 16th century and are considered to be a site of special cultural interest. 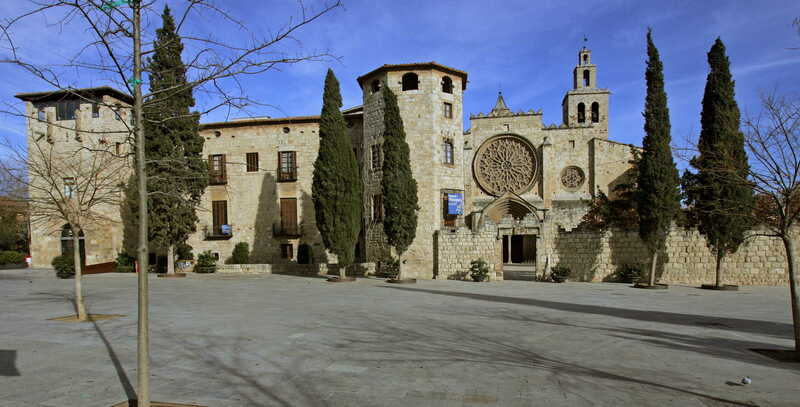 The most highly valued spot in the ensemble is the courtyard of the College of Sant Jaume i Sant Mateu, the only Renaissance-style courtyard in Catalonia. 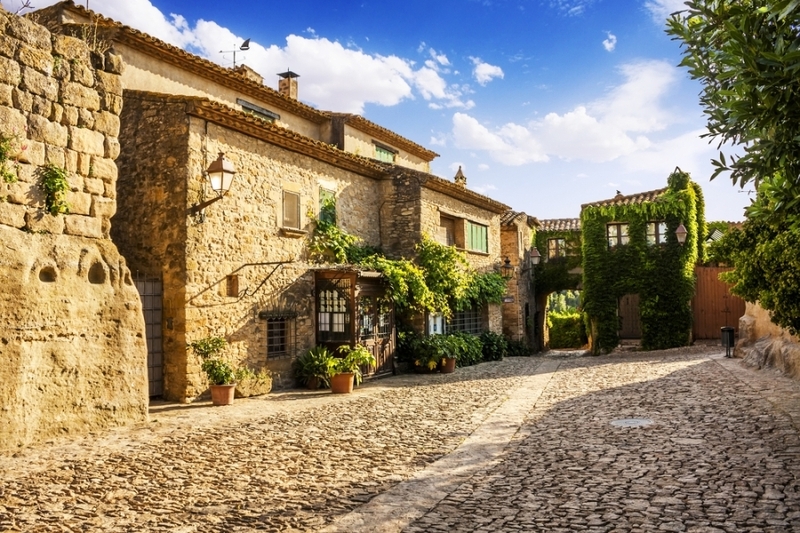 In Catalonia, the villages like Rupit are described as picture-book places, for their ancient stone houses with red roofs and narrow cobbled streets. 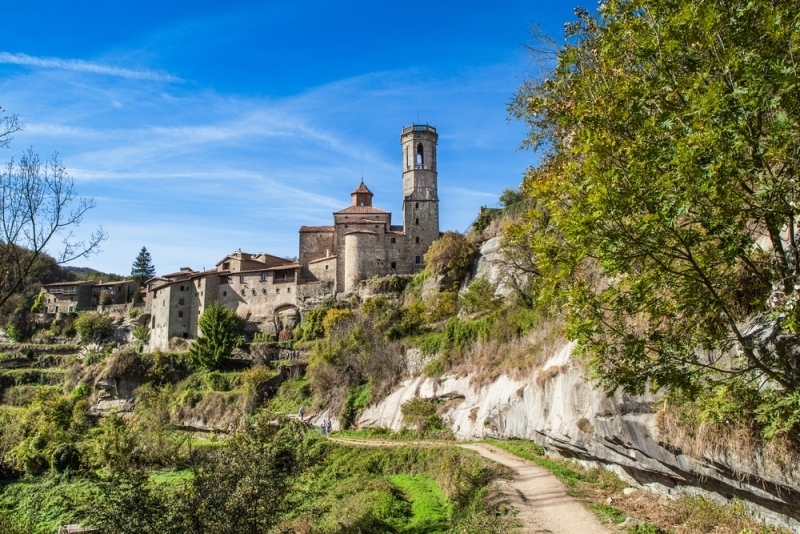 Towns like Rupit may not have the largest altarpiece in the country or buildings by the most famous architect, but as a whole, they are of great beauty and a pleasure to walk around while taking in the silence of the stones. 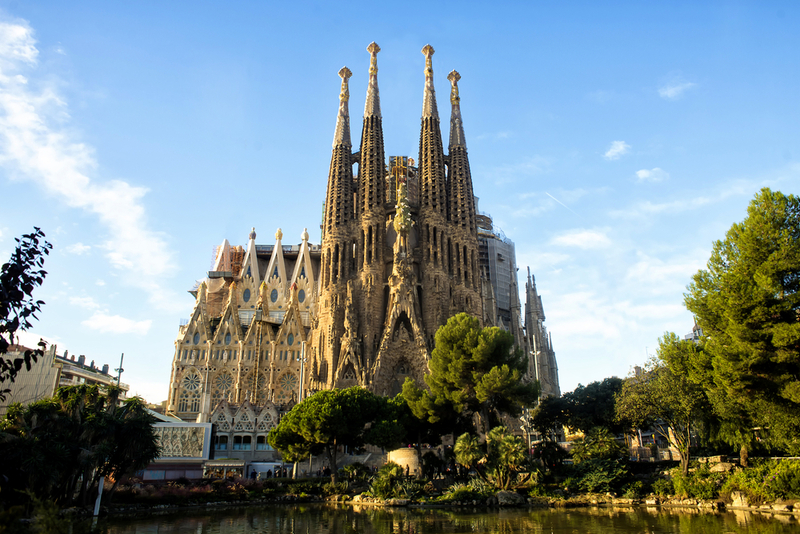 What is there left to say about Gaudí’s Sagrada Família that hasn’t already been said? 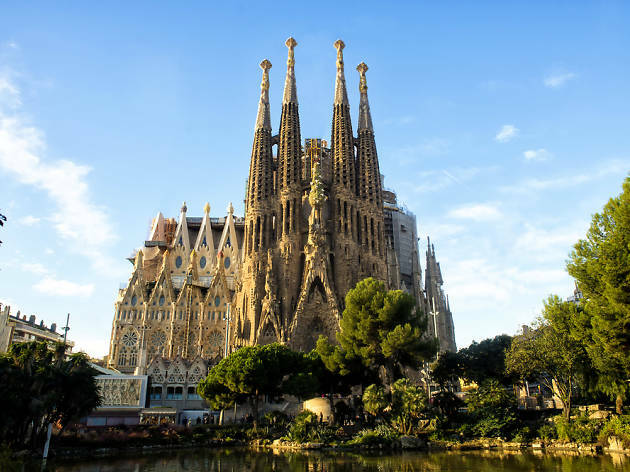 Going to Barcelona and not visiting the temple is like going to Paris and not seeing the Eiffel Tower. The end of the building project is getting nearer and nearer, and neither the cranes nor the long queues can eclipse the majesty of Gaudí’s most important creation that's most definitely worth visiting both inside and out. 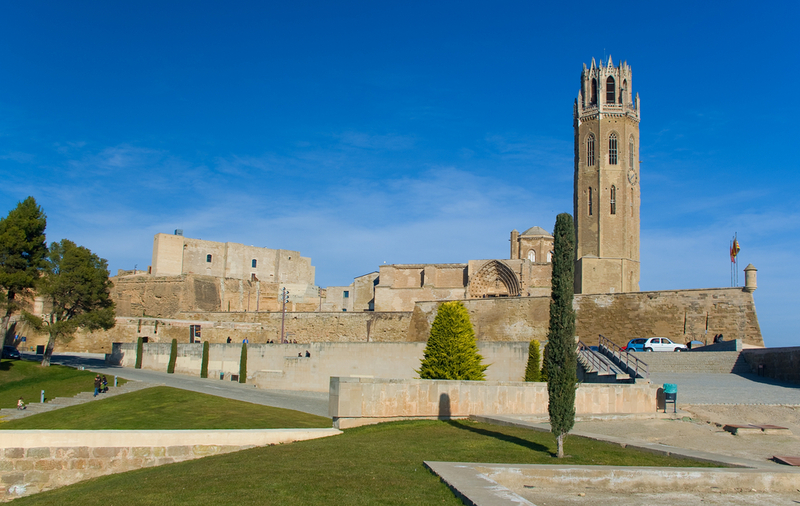 This building has been part of the skyline of Lleida since the 13th century, and has been the venue of quite a few historical events. 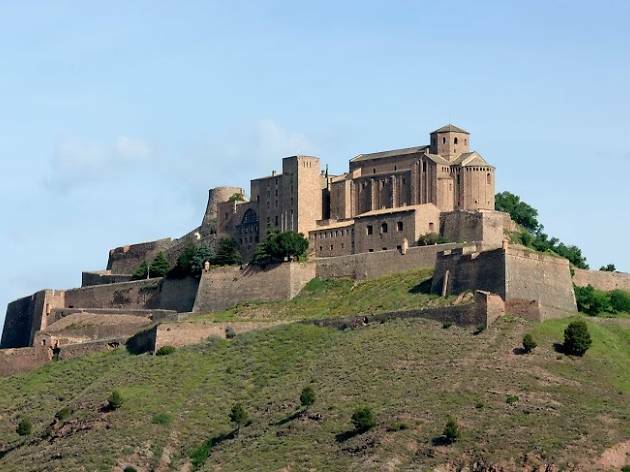 It is definitely a must if you vist the capital of 'Terra Ferma', and its architectural style has best been described as combining 'Romanesque forms and the monumentality of the Gothic'. Together with the King’s Castle (aka 'La Suda') and the military fortification, it has been declared a site of national cultural interest. 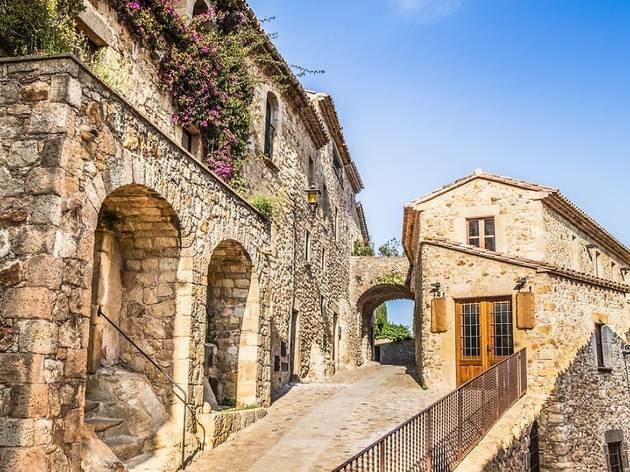 Located in the centre of the Natural Park of the Volcanic Area of ​​the Garrotxa, the village of Santa Pau is a pastoral haven for visitors that conserves its original medieval buildings and structures, including its arcaded main square. It’s very worthwhile taking some time to explore the narrow streets in order to find the most beautiful corners of Santa Pau. 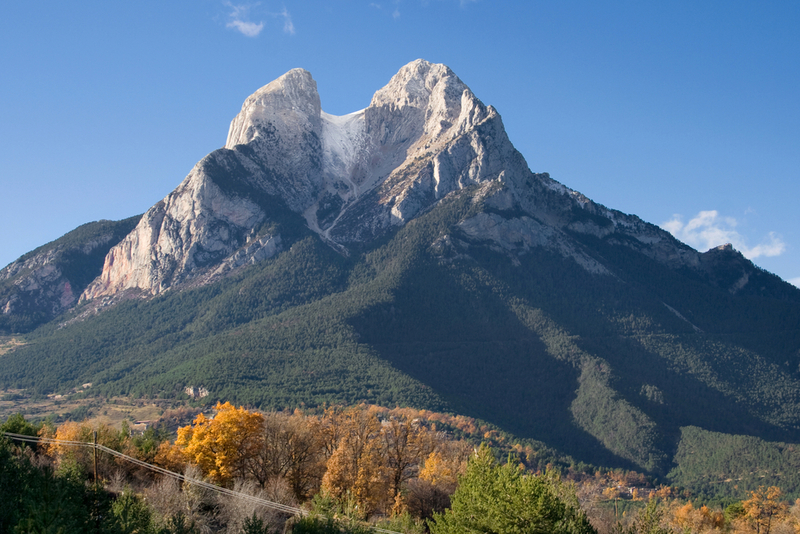 We recommend you take the cog train from Ribes de Freser or Queralbs and soak up the mountain scenery while travelling to the top, where you’ll find a lake and the sanctuary of the Virgin of Núria. It's a great place to take the whole family, no matter the season. If it's winter, go skiing on the white cloak of snow that covers everything. The rest of the year you’ll be surprised by the thousand shades of green. Most village elders will still tell you with bright eyes how Ava Gardner walked these streets during the filming of 'Pandora and the Flying Dutchman'. It’s been said that this film, released in 1950, made the Costa Brava into a prime tourist destination, and nothing would ever be the same again. 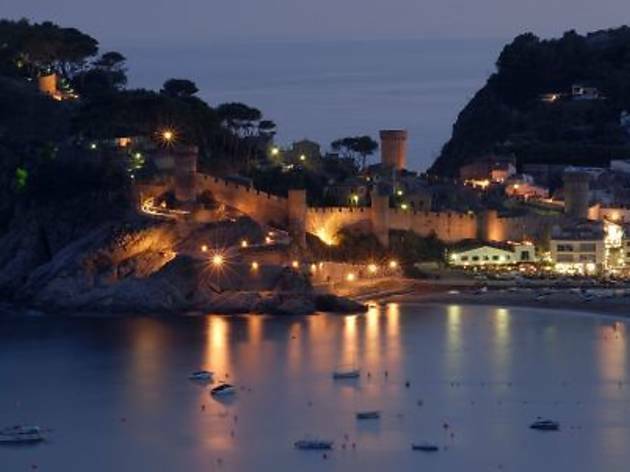 And the profile of Tossa, on film and in reality, is really attractive, with its walls near the waves and the tower of Ses Hores in a prominent place. This monastery stands out for its charmingly simple Romanesque architecture, built between 1006 and 1050, with a bell tower that seems stunted and an original church that's wider than it is long, with a tiny cloister and surprises like anthropomorphic tombs and a stunning location overlooking a bend in the River Ter. 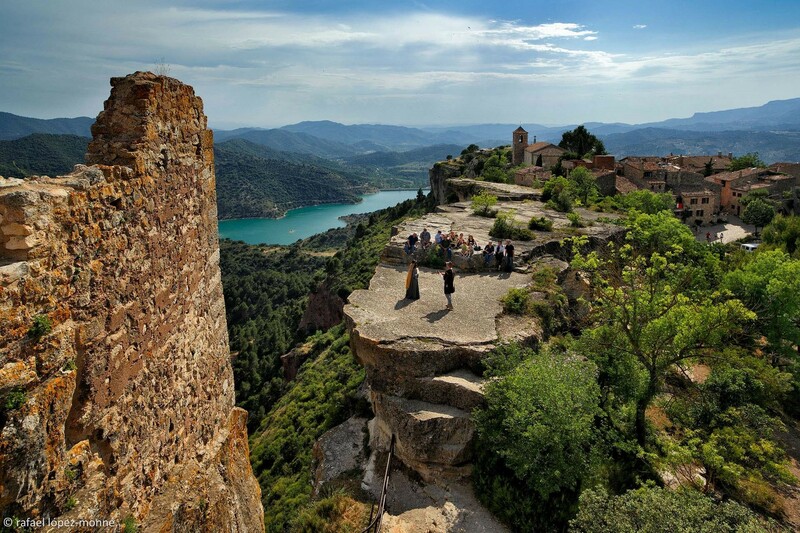 The Priorat region is a world apart, and within it there’s another little world made up of the village of Siurana and the reservoir of the same name. 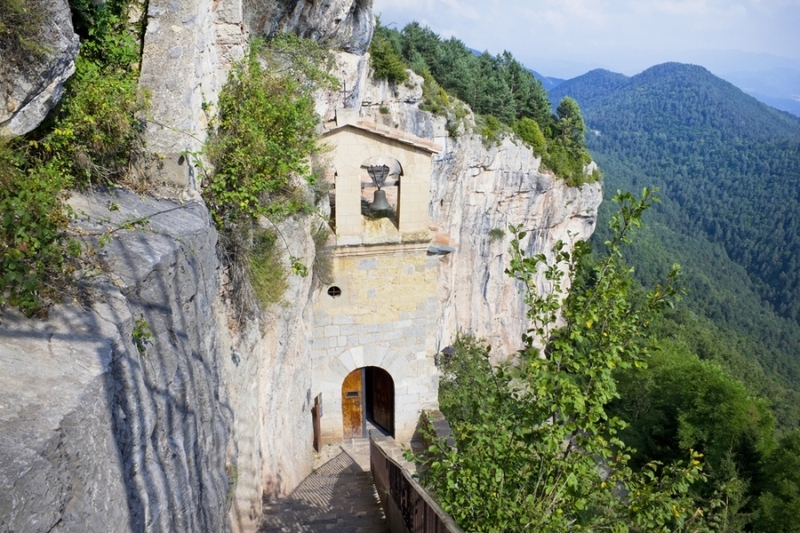 Siurana is an isolated spot, located practically on the edge of a cliff and sitting atop a limestone crag. It conserves its original stone houses and offers stunning views of the region. 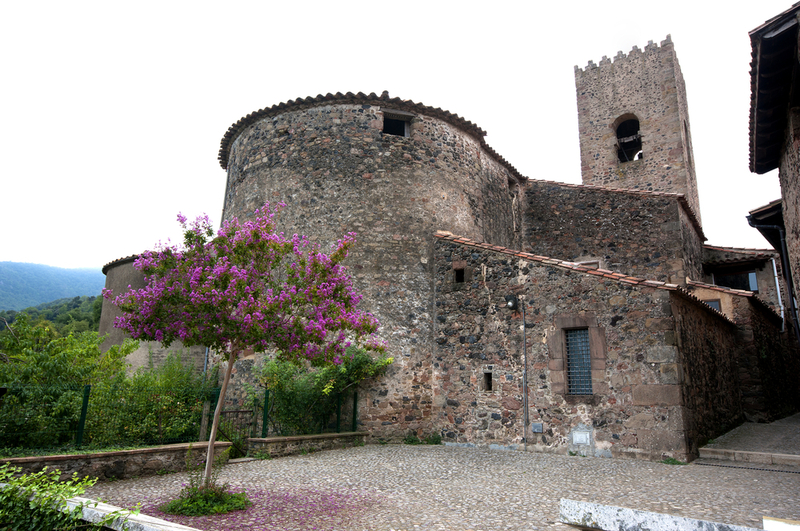 Of cultural interest are the Romanesque church of Santa Maria and the remains of the Wāli Almira Alemoni's castle. 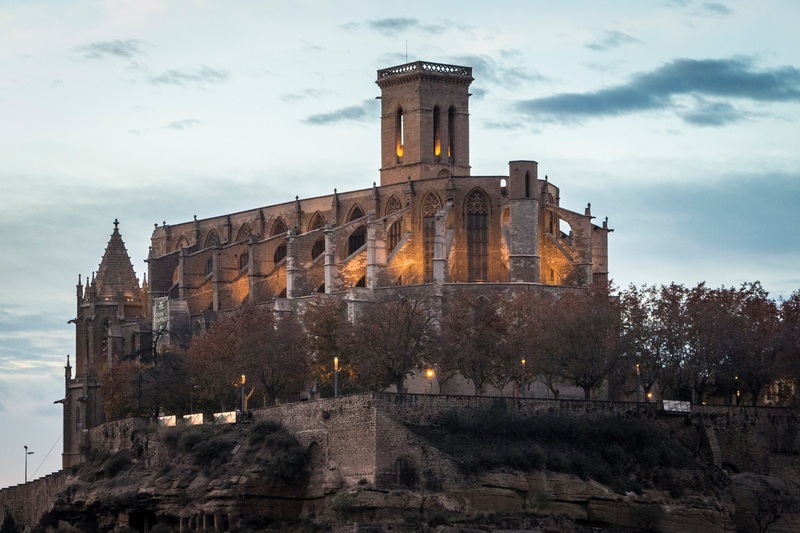 What we said about the Seu Vella in Lleida about how it dominated the skyline of the city and was its most iconic building is also true of Manresa, the capital of the Bages region in the heart of Catalonia. This Gothic-style building is located in the higher part of town and stands out for its external beauty and the number of intriguing details inside, from the columns of the central nave and its crypt to the Gothic altarpieces. 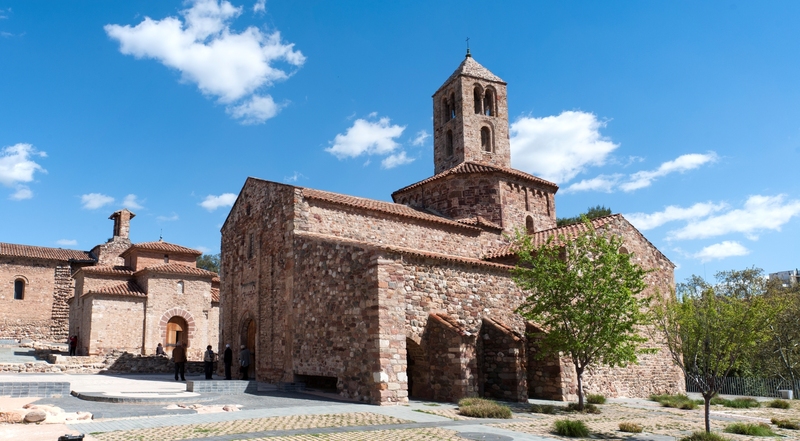 In the heart of Terrassa, one of Catalonia’s most populated industrial cities, you’ll find this beautiful monumental ensemble consisting of three churches that date from the first centuries of the Christian period here. 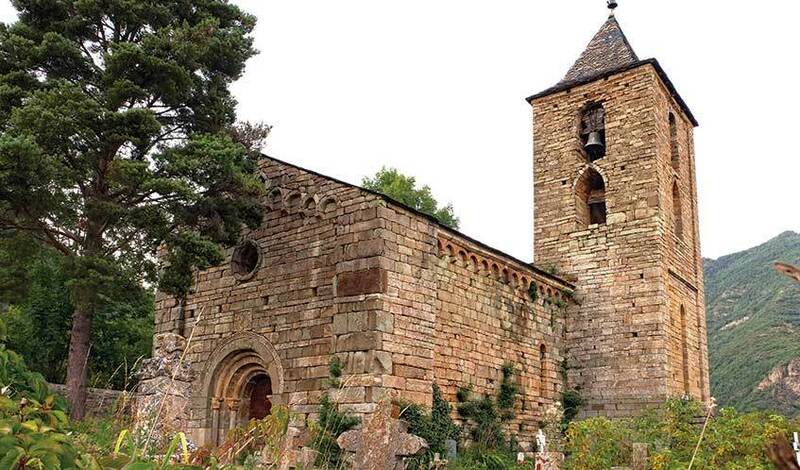 The style is dominantly Romanesque, but the three churches have a number of important differences. 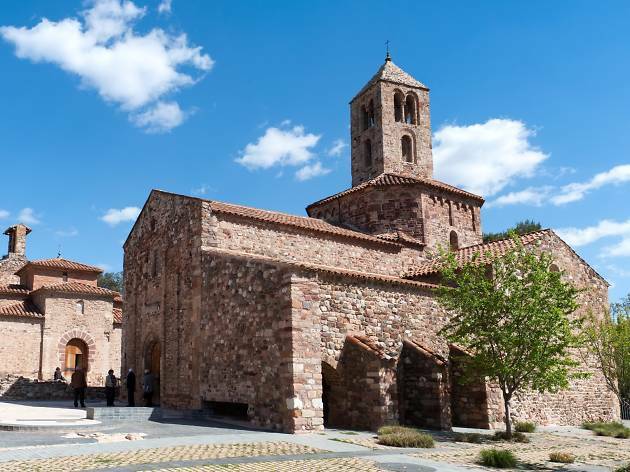 The church of Sant Miquel stands out especially for its singularity, being a funerary temple with a square design that bears witness to the passage of the Visigoths in this land. 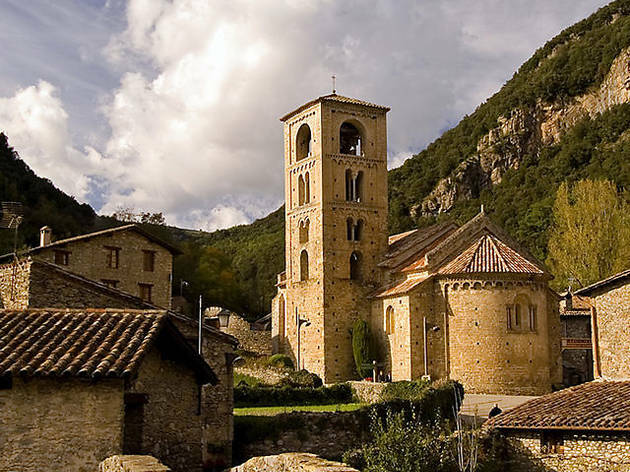 You’ll find plenty of Romanesque architecture throughout the Pyrenees, but the Boí Valley is where this style reached its peak of splendour, and it’s no surprise that its ensemble of churches has been given World Heritage Site status by UNESCO. You can simply visit one village after the other (Cóll, Cardet, Barruera, Durro, Erill la Vall, Taüll...), because each and every one of them is picture-postcard material. 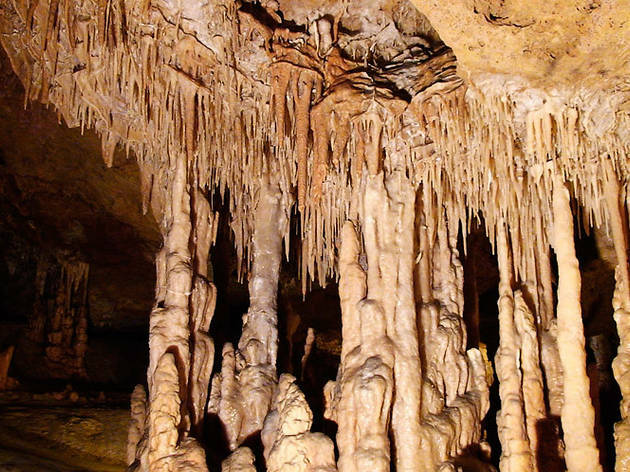 If you'd like to see caves with stalactites and stalagmites in impossible shapes, created drop by drop over thousands of years, you should head for Benifallet and the Covas Maravelles, a series of caves that can be visited on a route that covers a little more than half a kilometre, and the Cova Dos, with a route stretching for 253 metres, both of which were discovered in the second half of the 20th century.